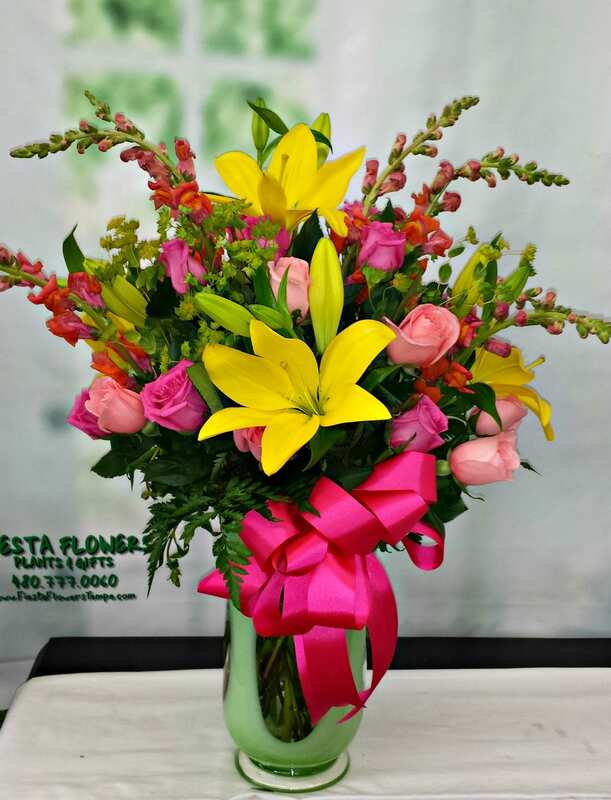 For any floral occasion Fiesta Flowers, Plants & Gifts is a local Tempe, AZ Professional Florist. 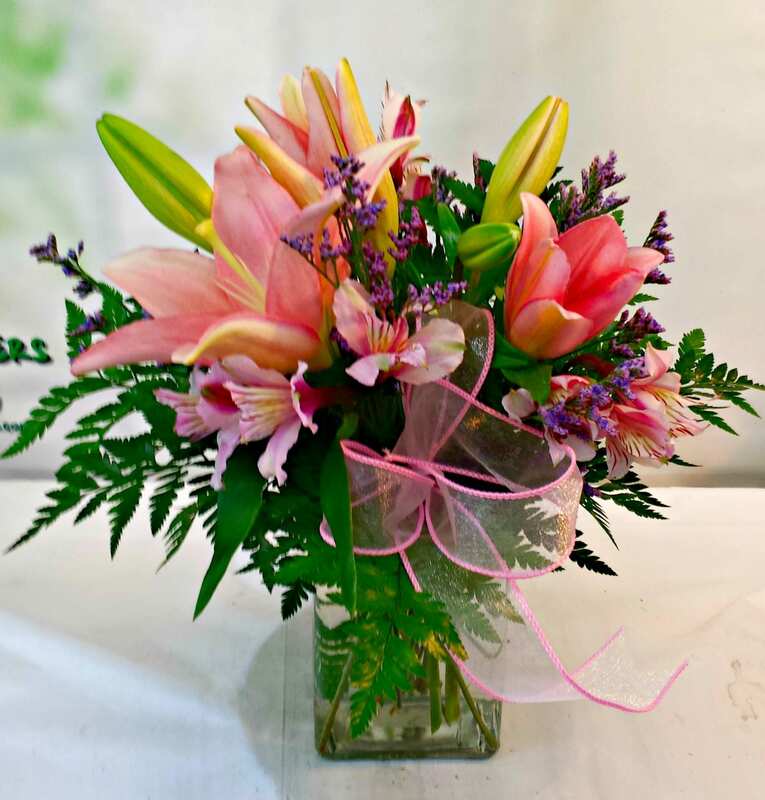 We are a locally owned and operated Florist that offers same day delivery in the Tempe, AZ and surrounding areas. 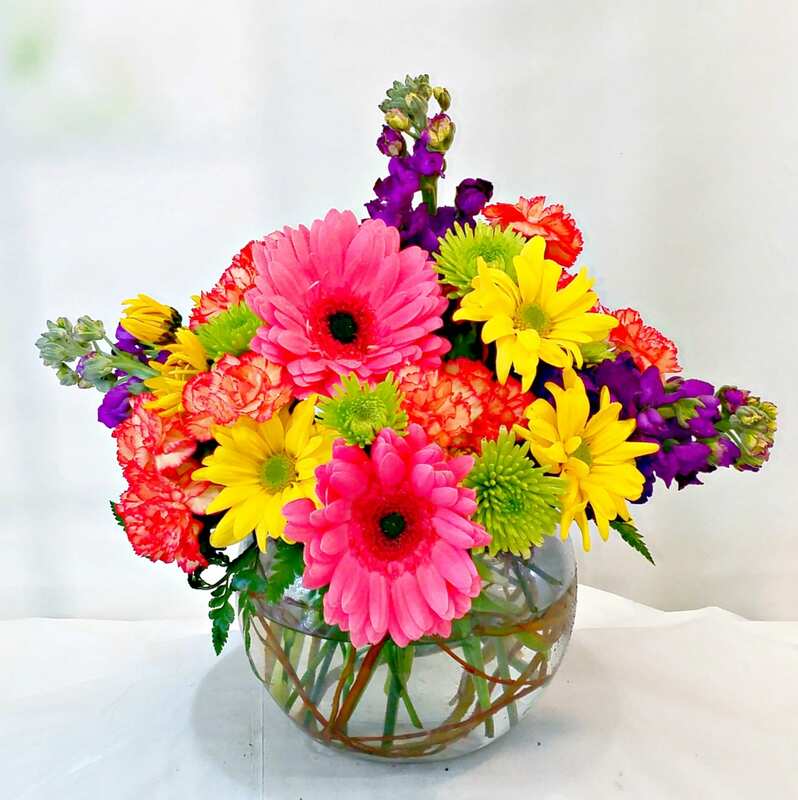 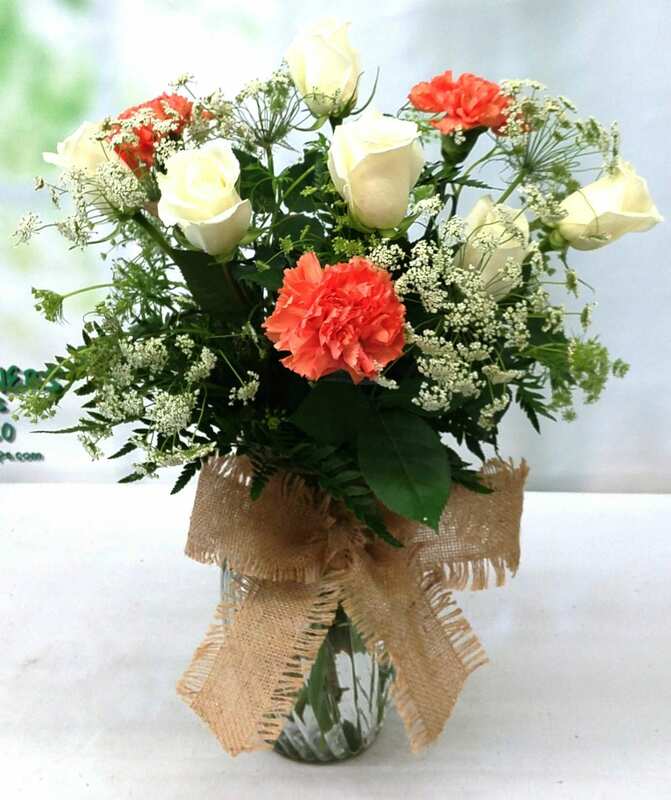 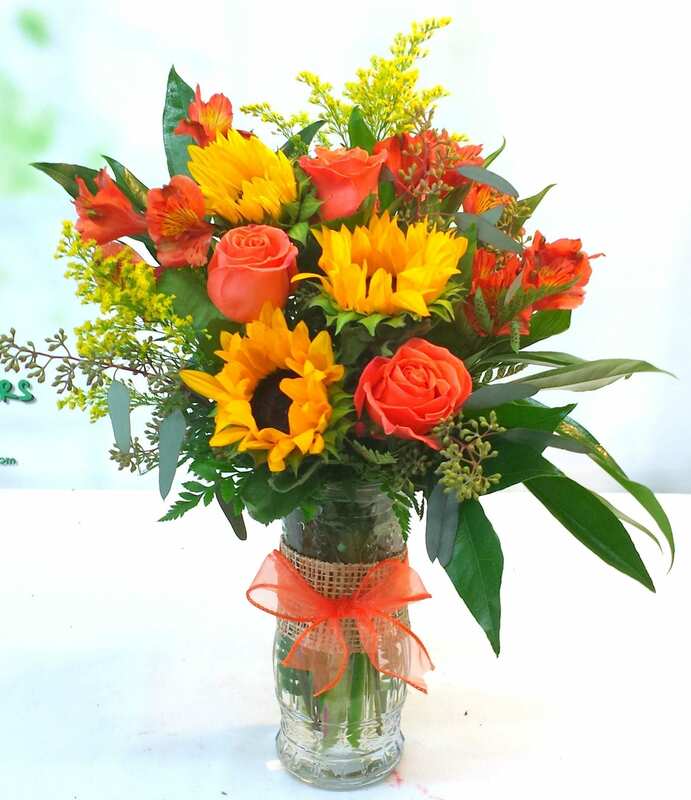 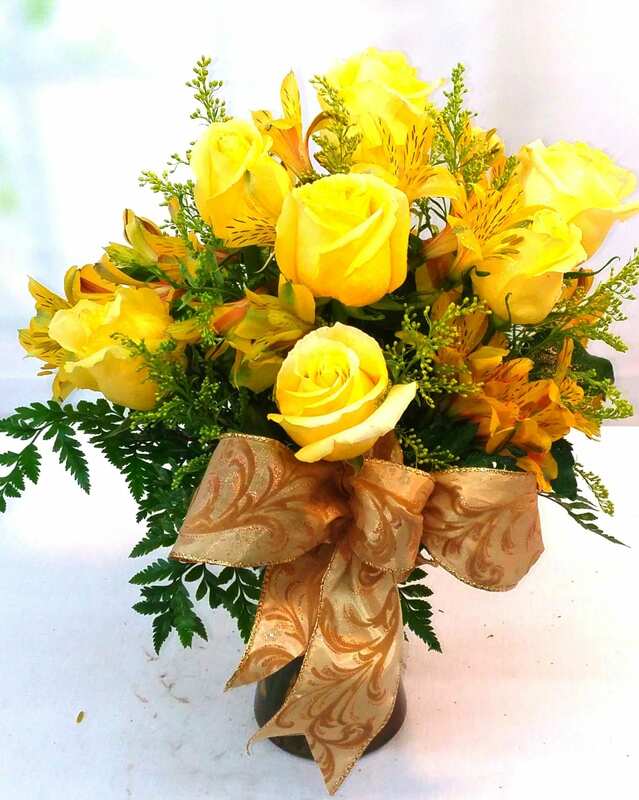 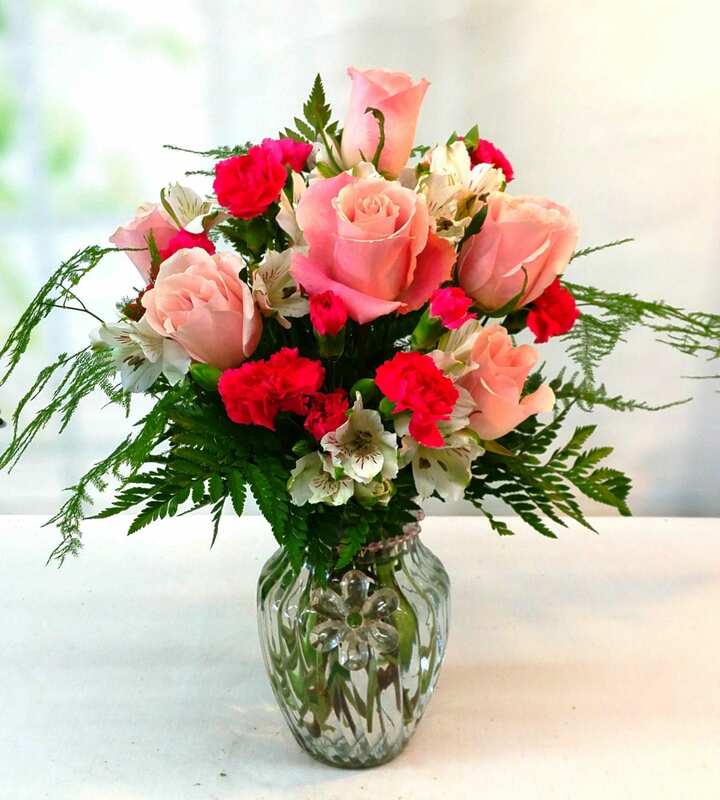 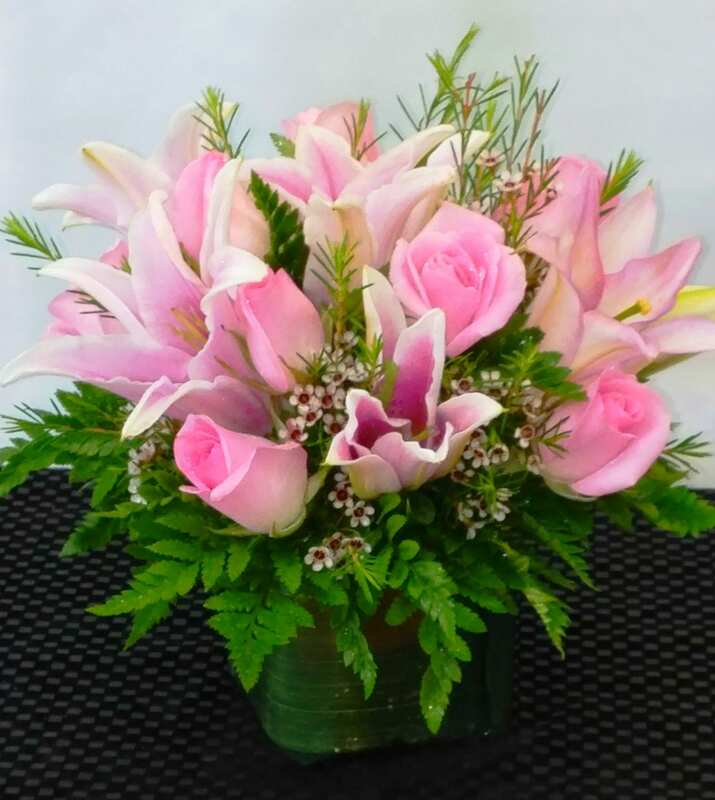 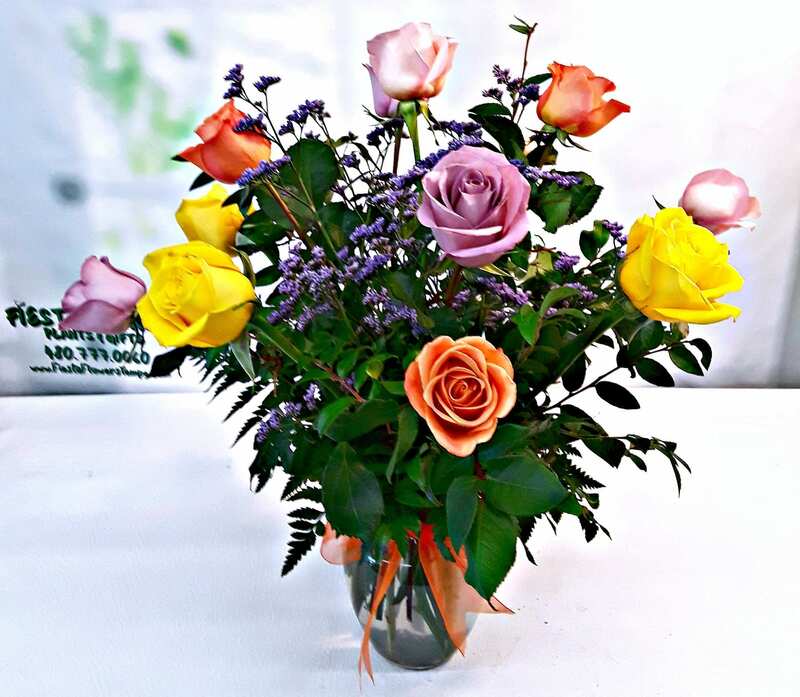 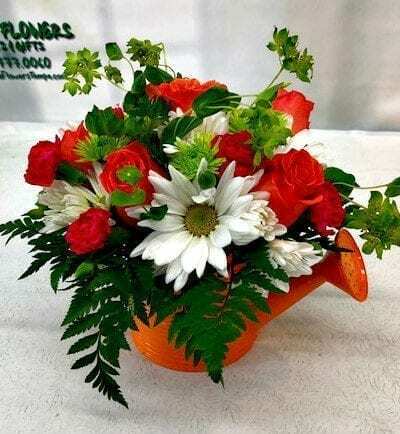 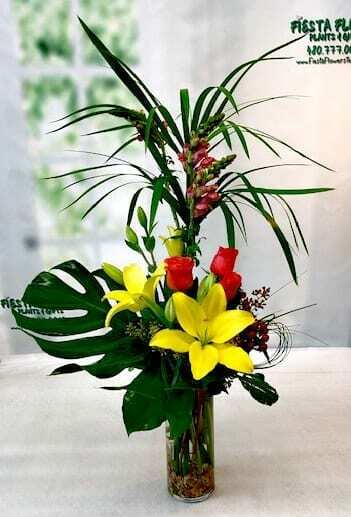 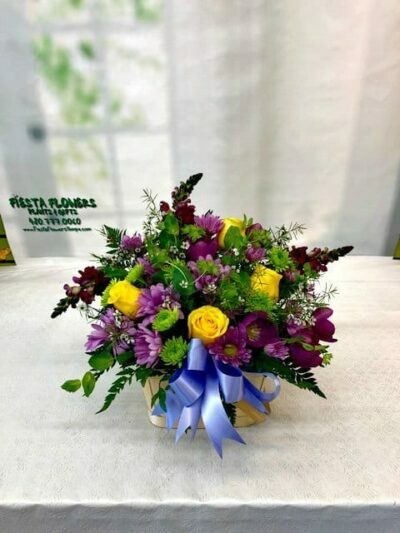 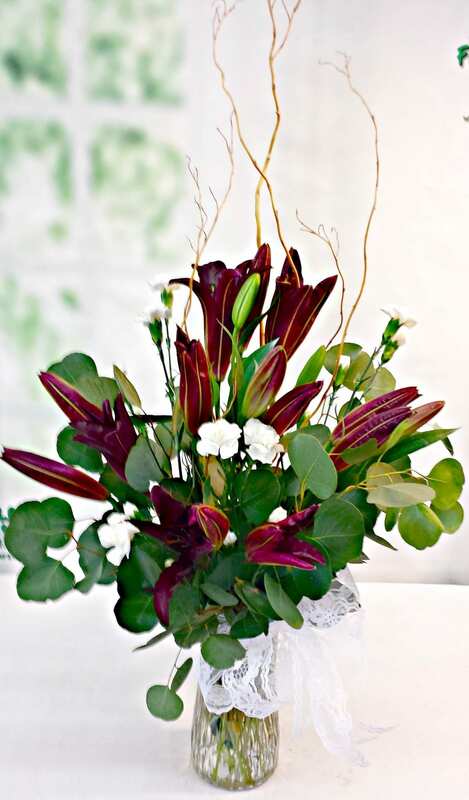 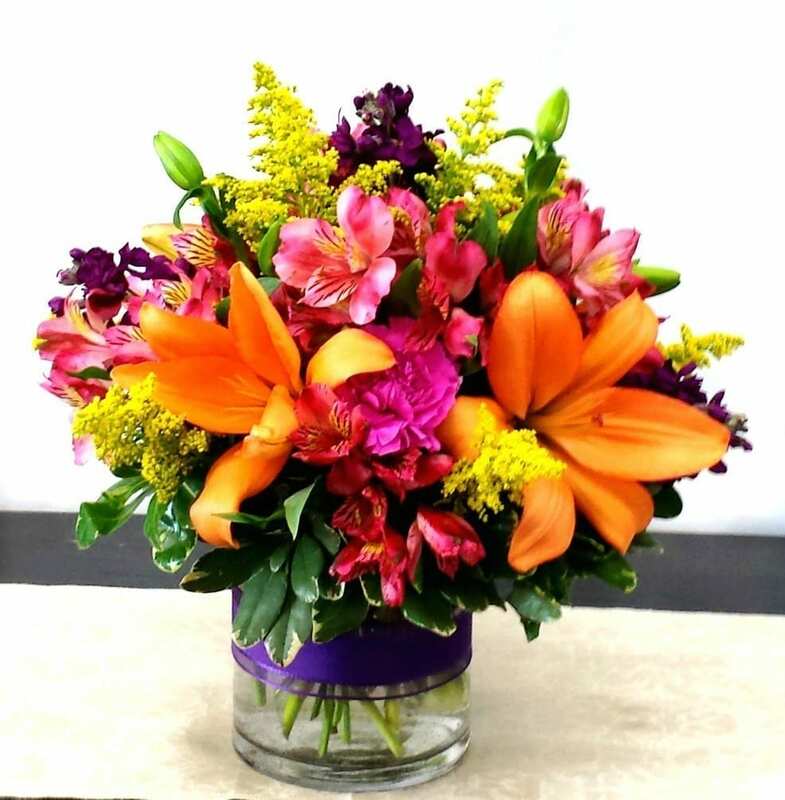 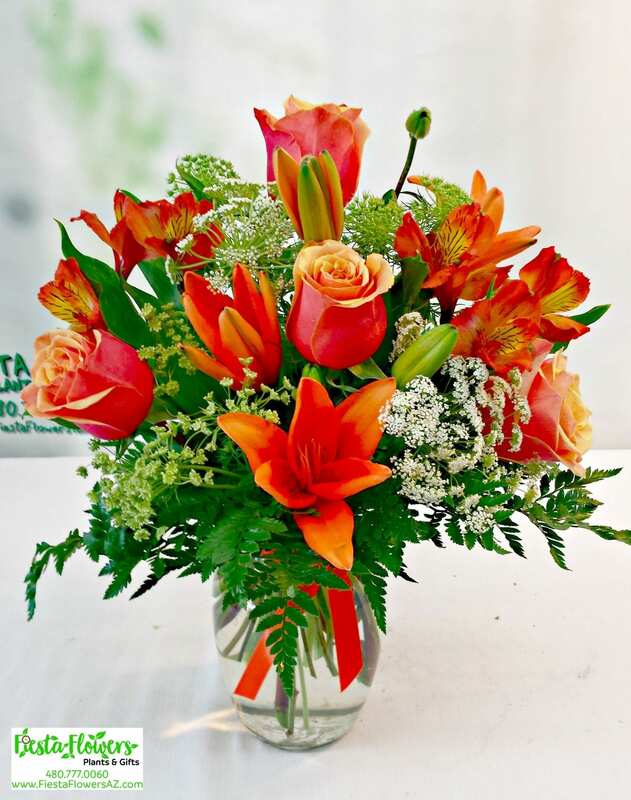 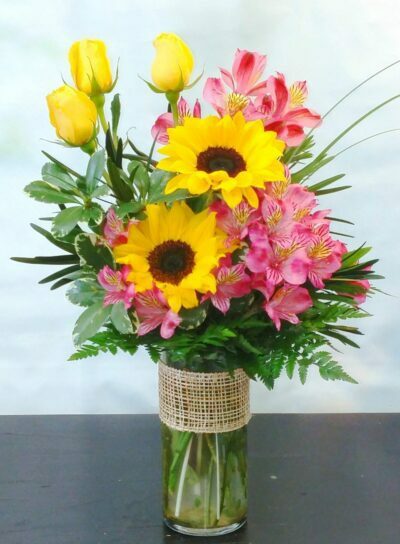 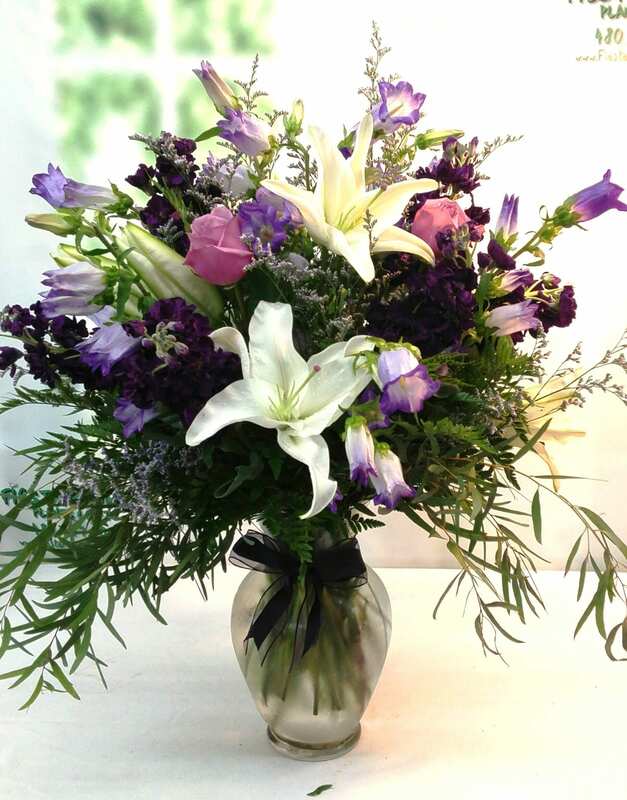 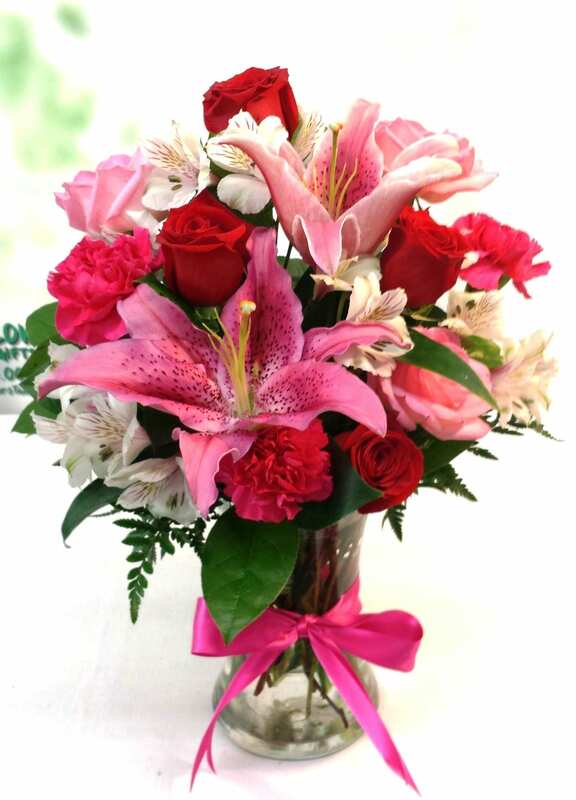 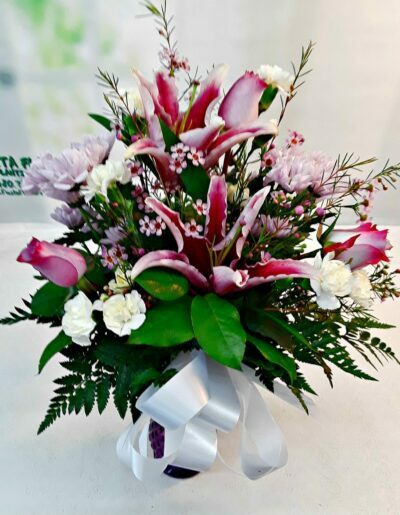 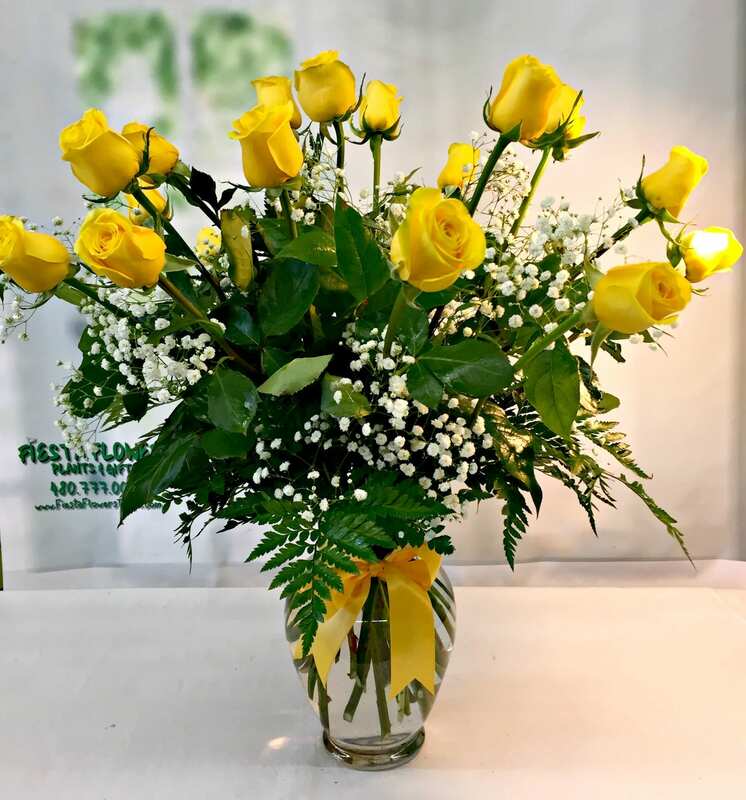 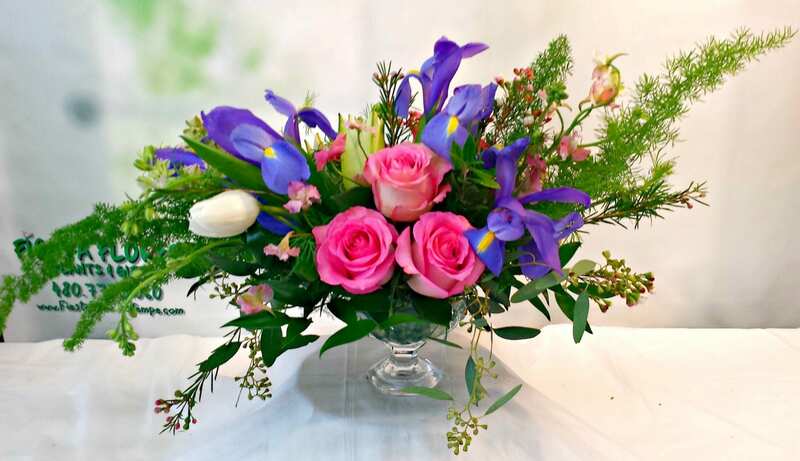 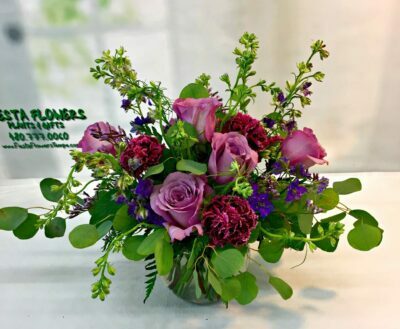 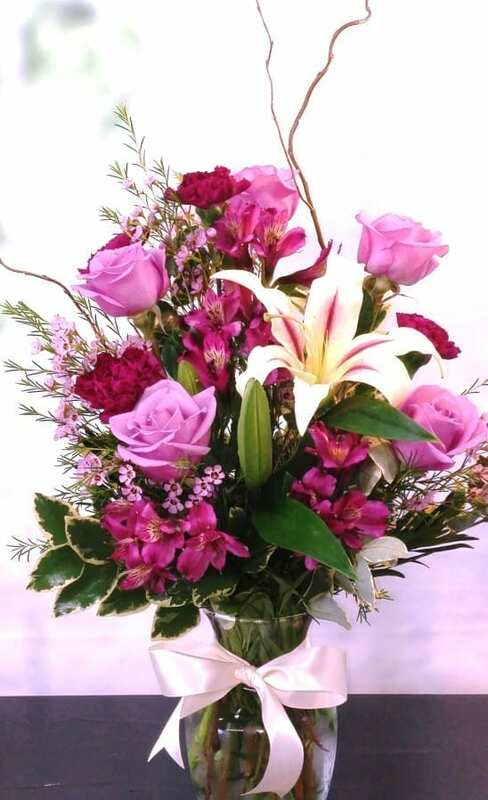 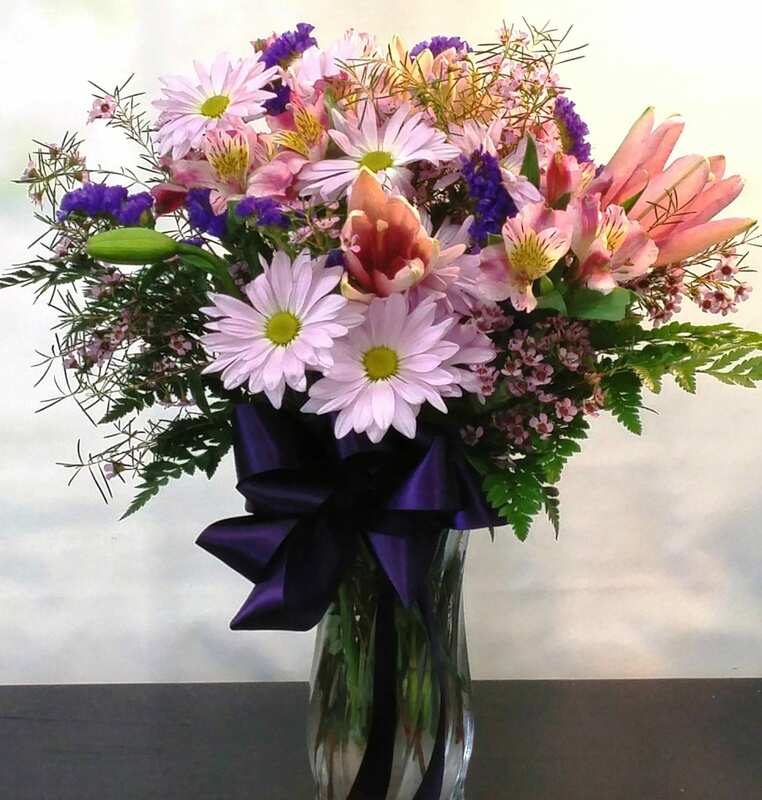 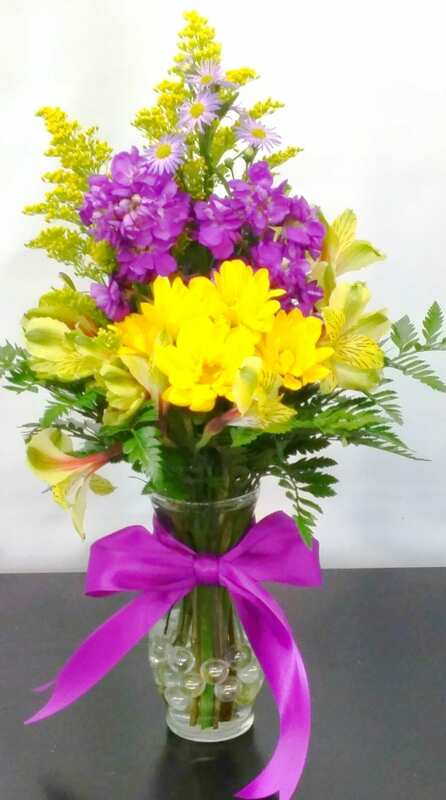 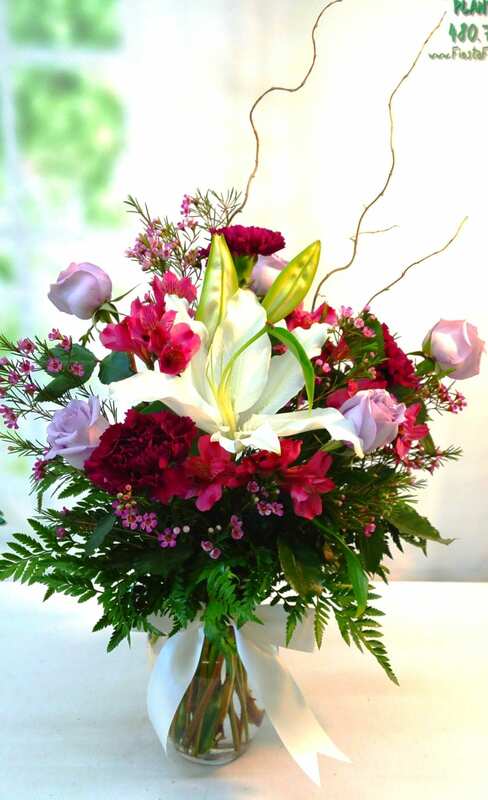 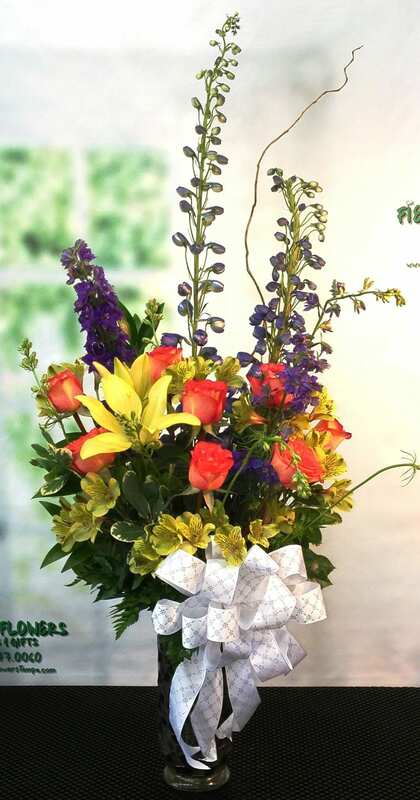 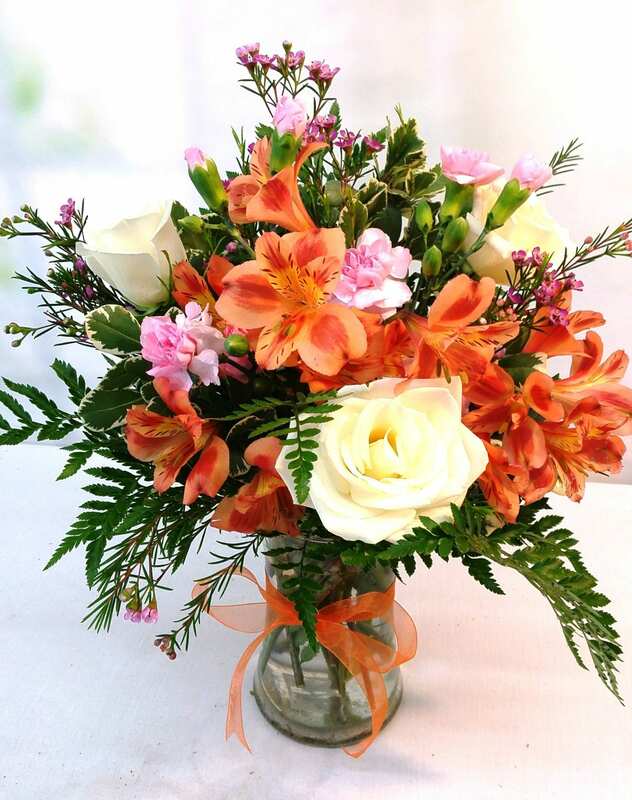 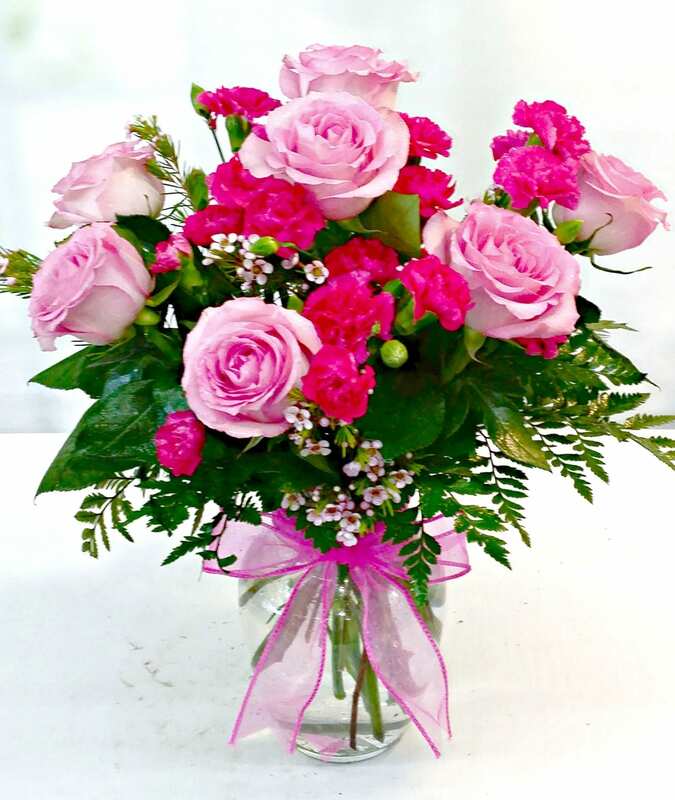 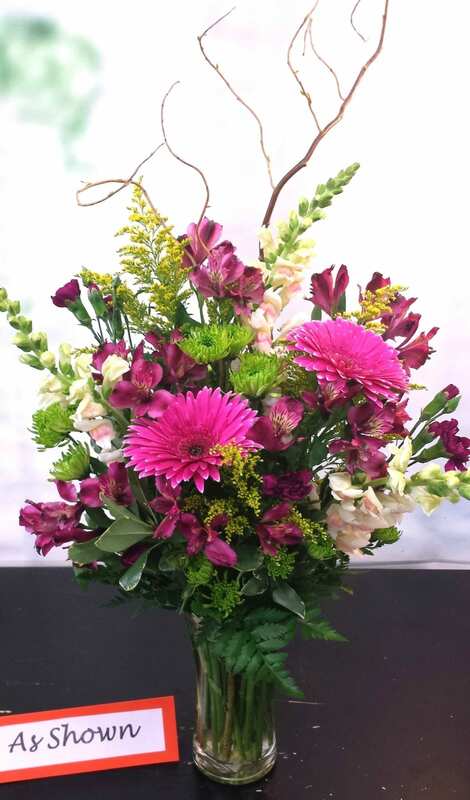 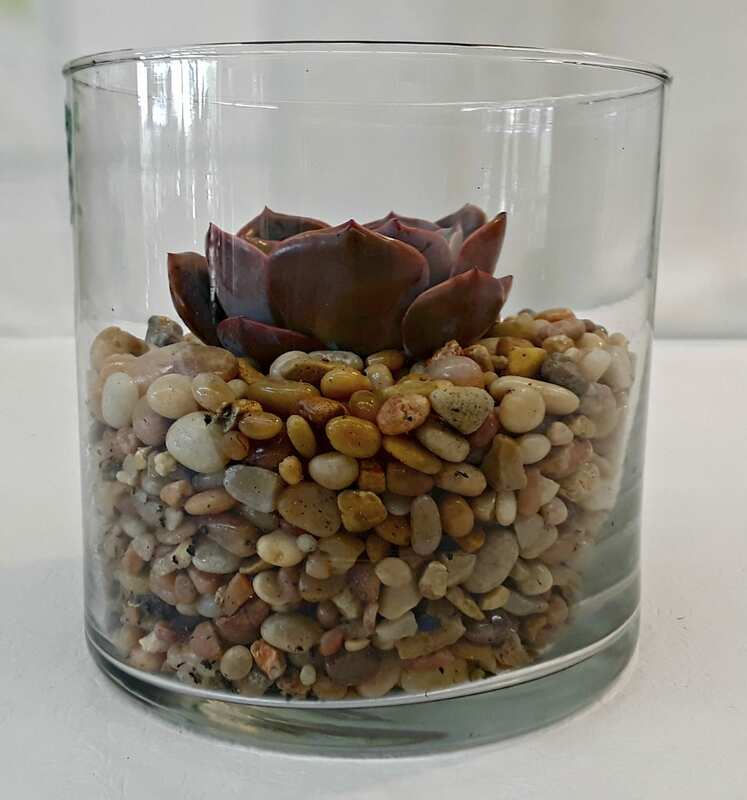 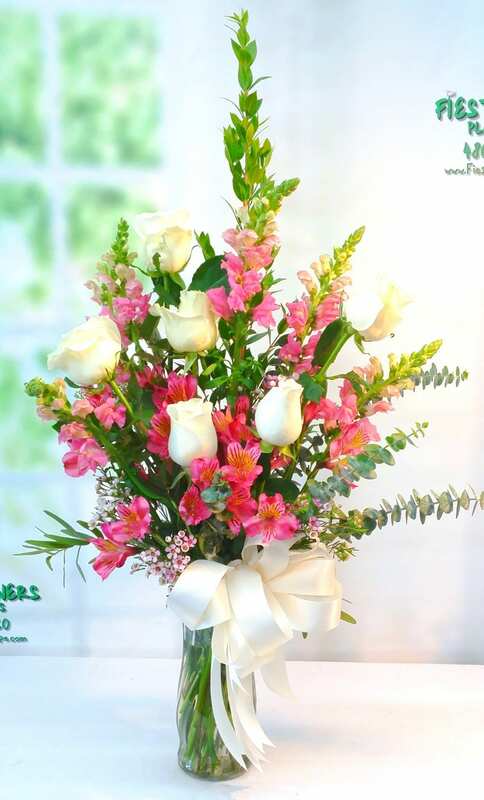 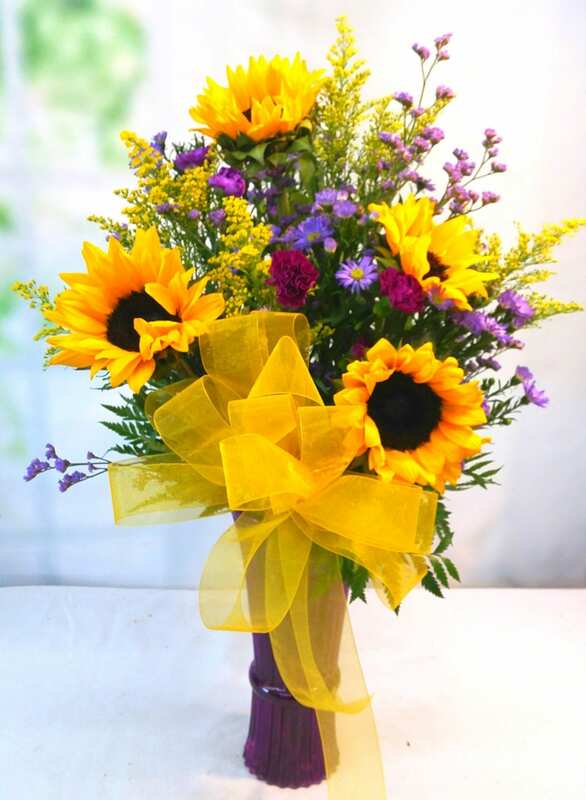 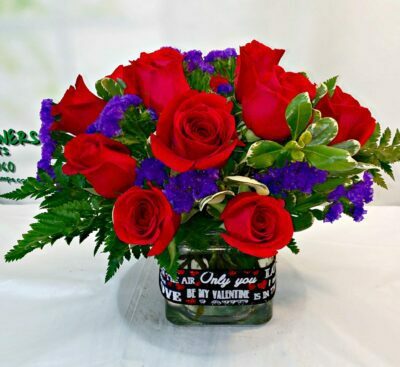 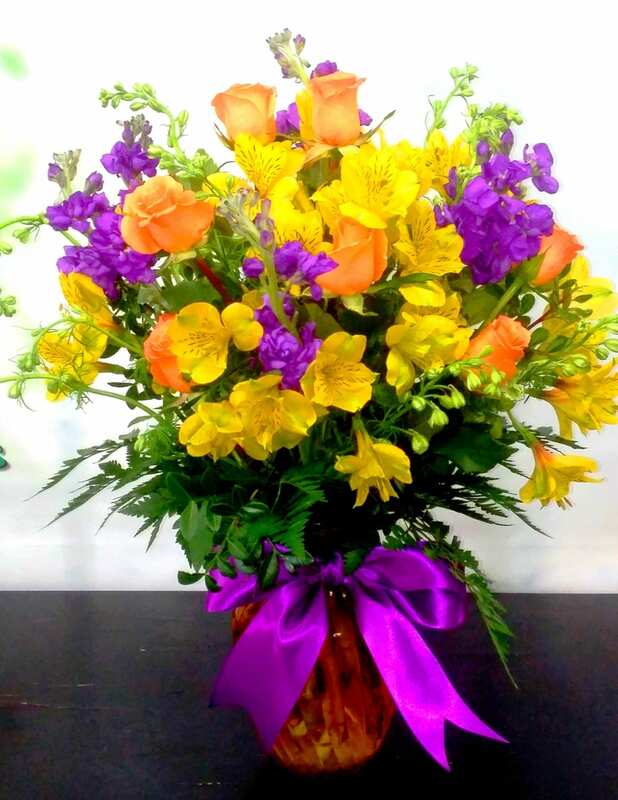 When you choose Fiesta Flowers, Plants & Gifts for sending fresh flowers, plants and gifts in Tempe, AZ, you know that you are choosing an experienced florist that takes pride in helping you connect with your loved ones. 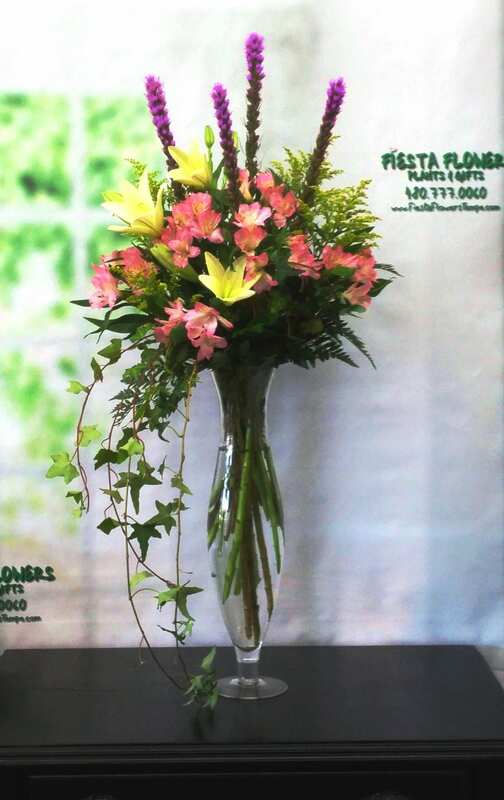 Fiesta Flowers, Plants & Gifts flower bouquets are professionally and artistically arranged in a reusable vase/container. 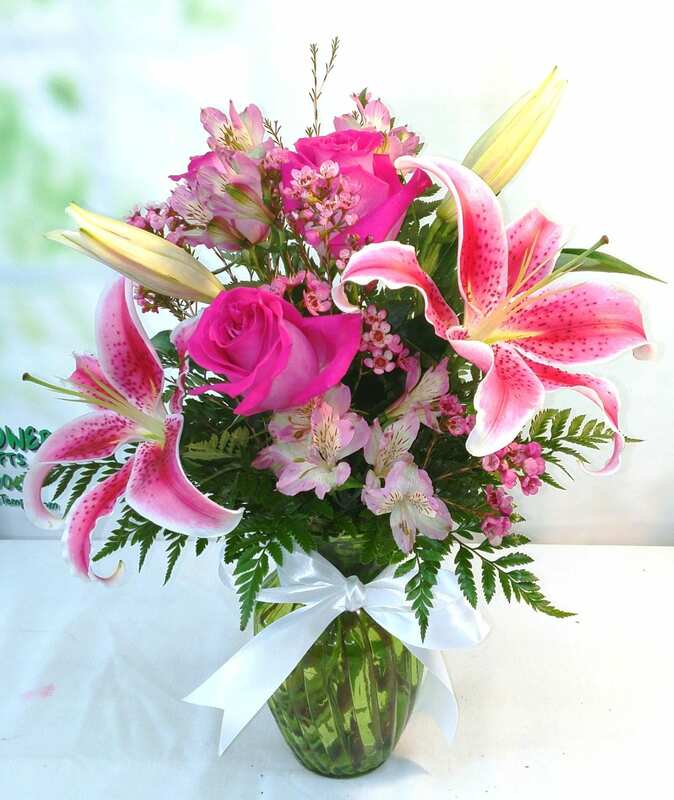 You can be confident that you are sending the most beautiful, freshest, high quality floral arrangements available! 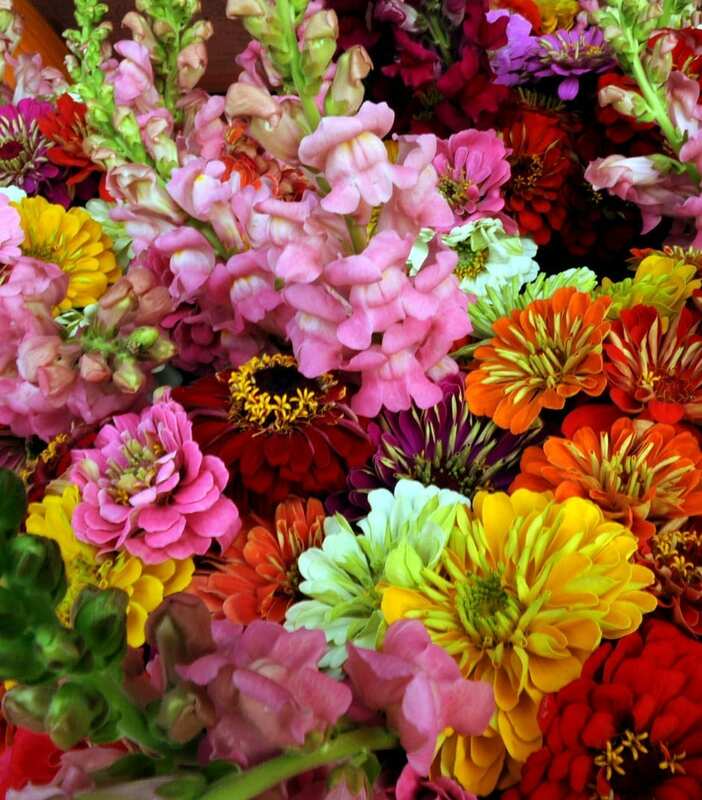 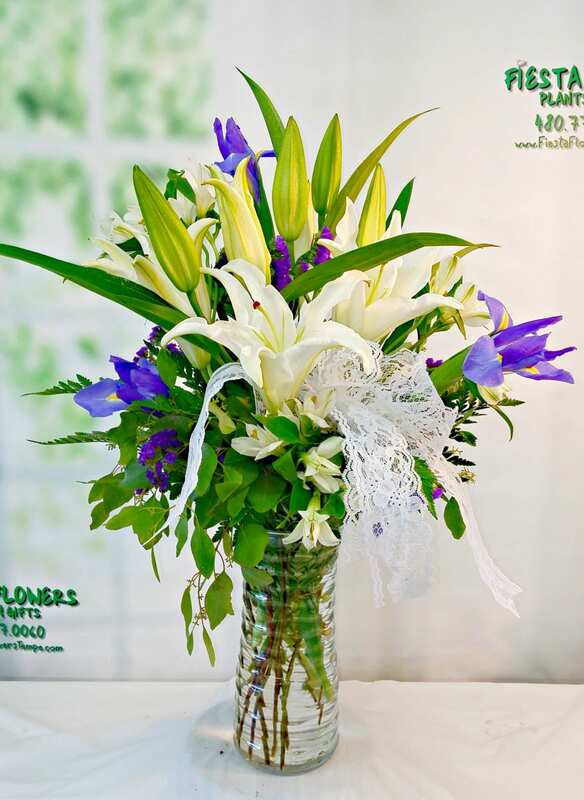 We purchase our flowers directly from the farms which results in longer lasting flowers for you and your loved ones. 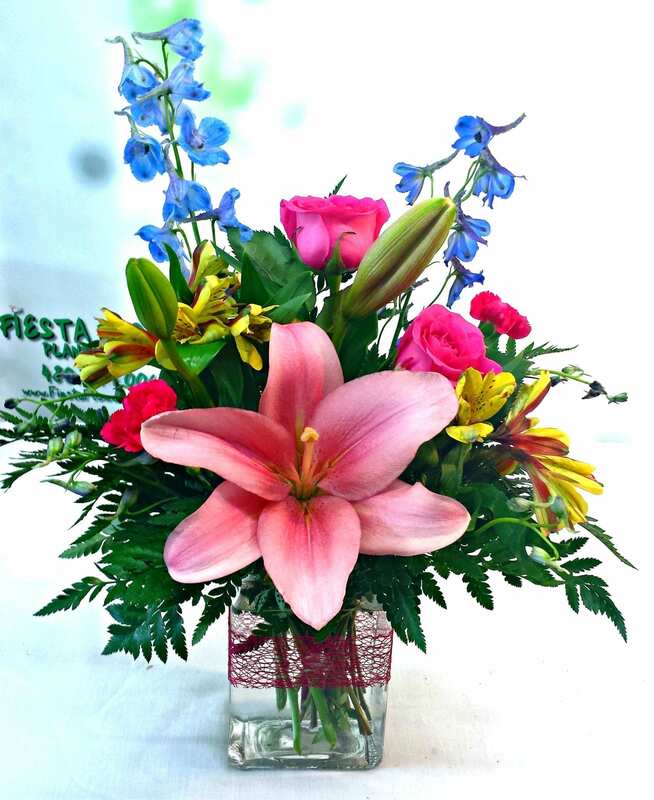 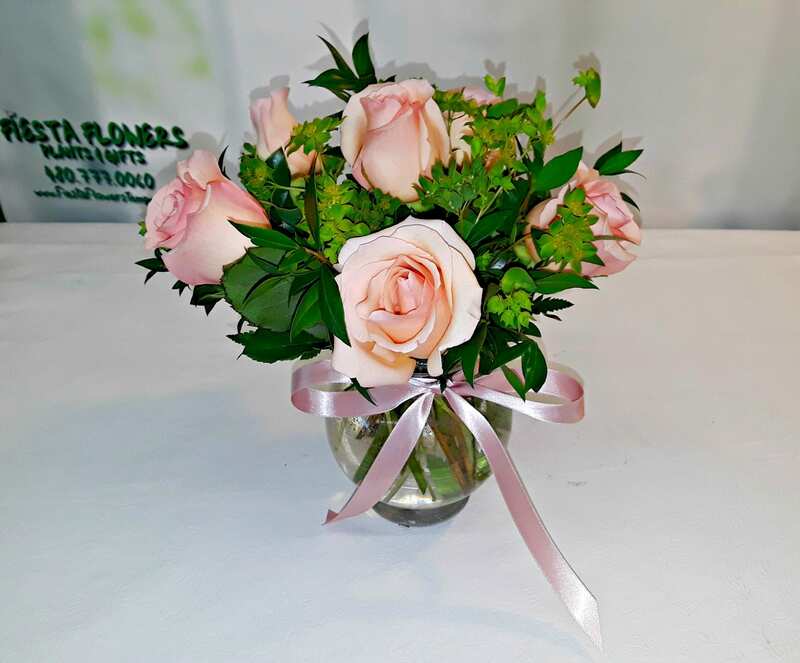 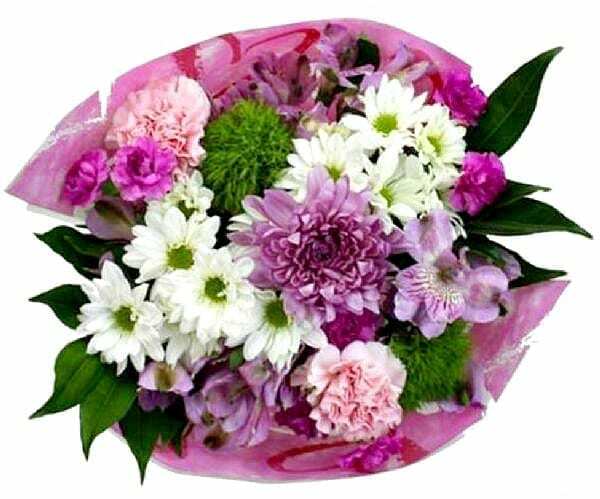 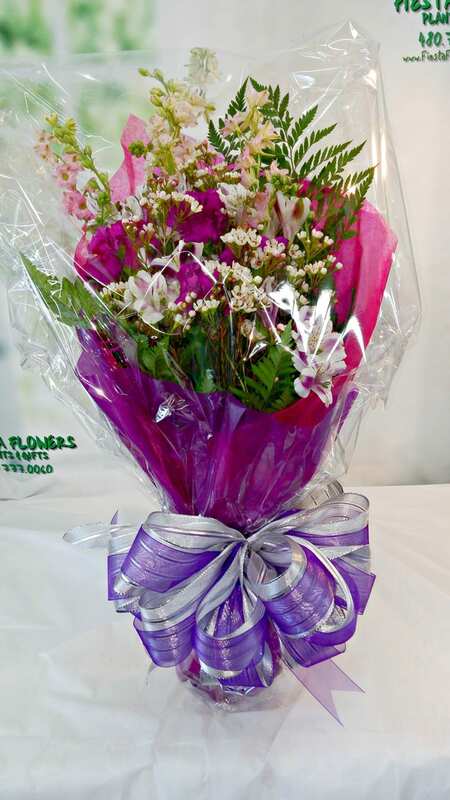 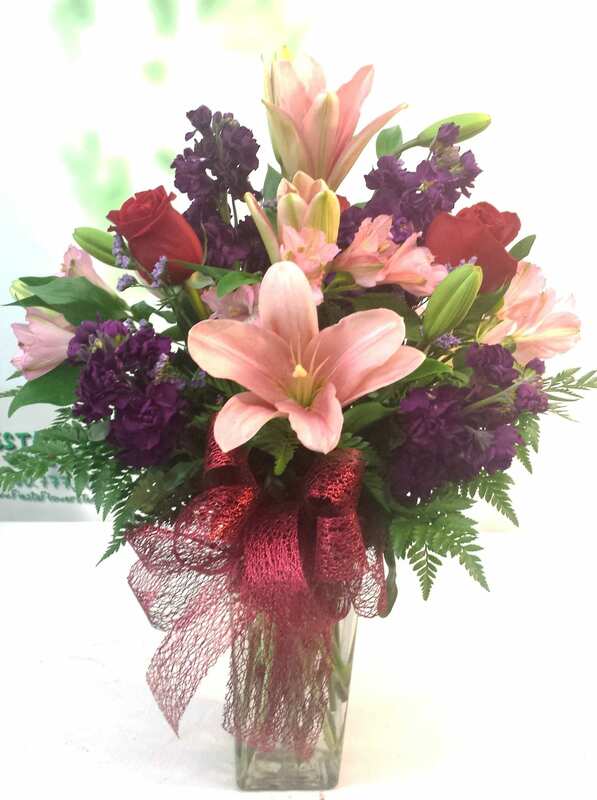 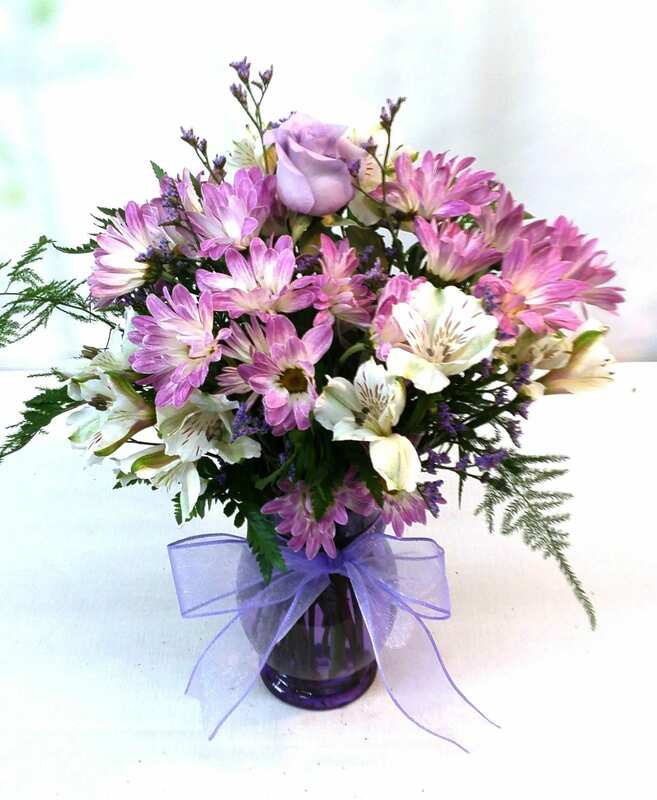 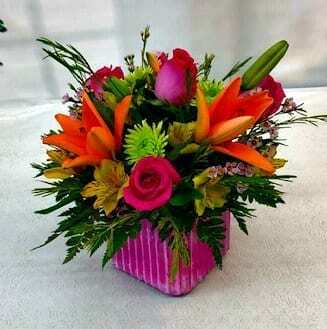 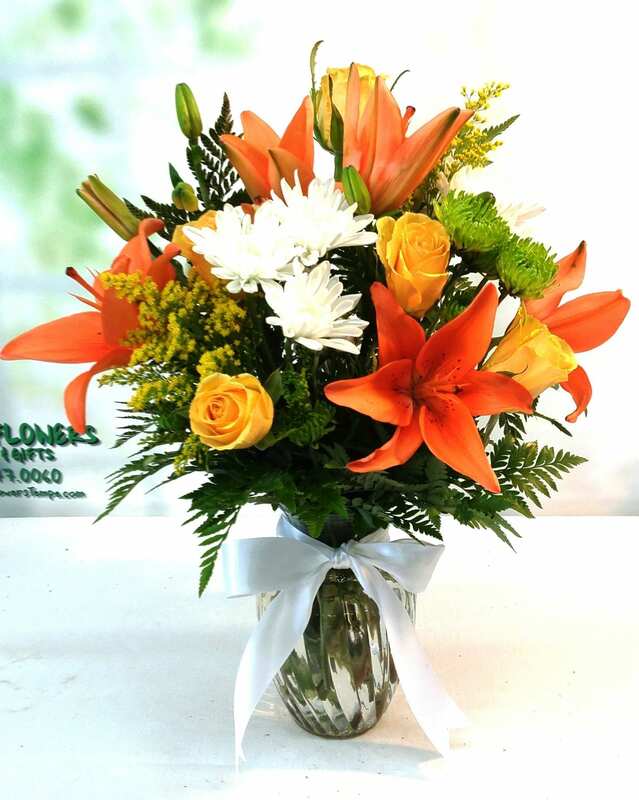 Fiesta Flowers Plants & Gifts assures quality service and beautiful fresh flowers hand delivered to your loved ones! 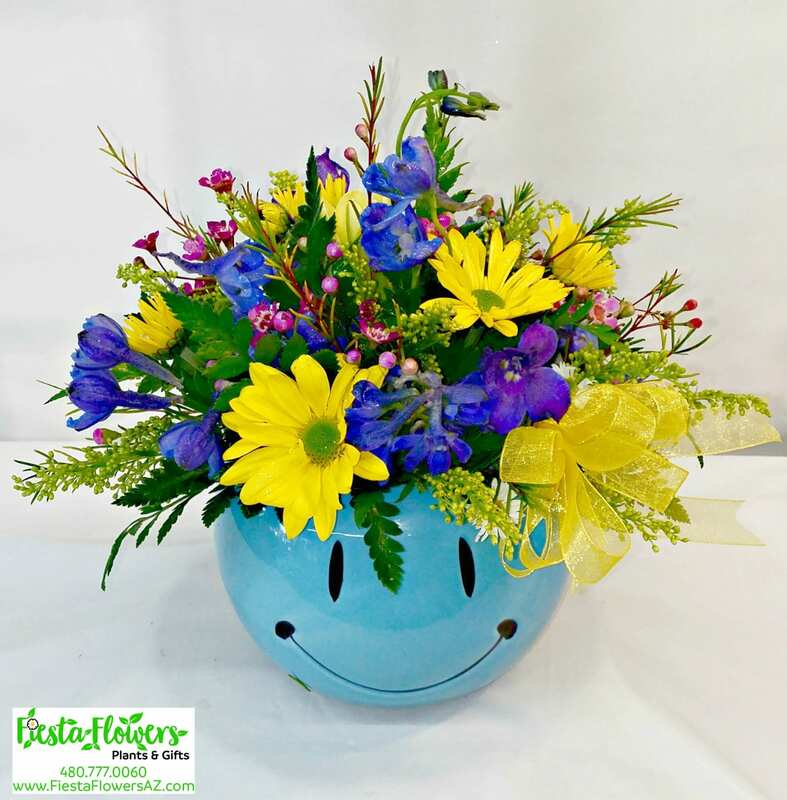 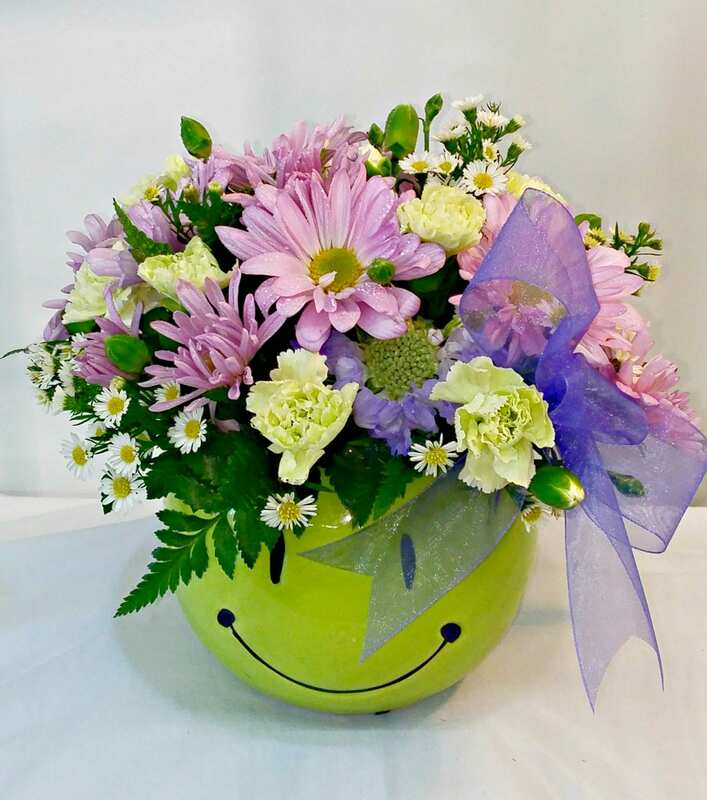 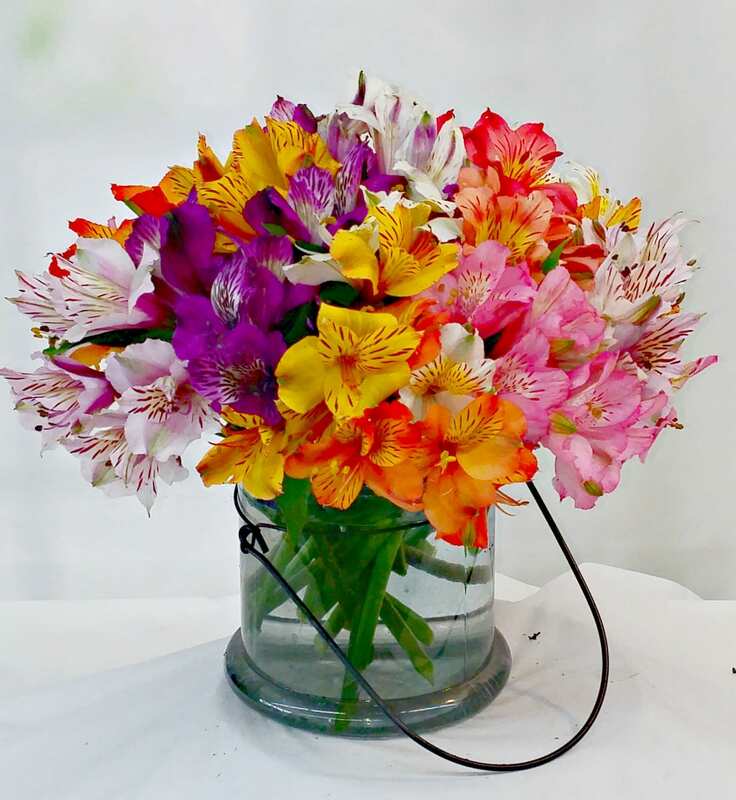 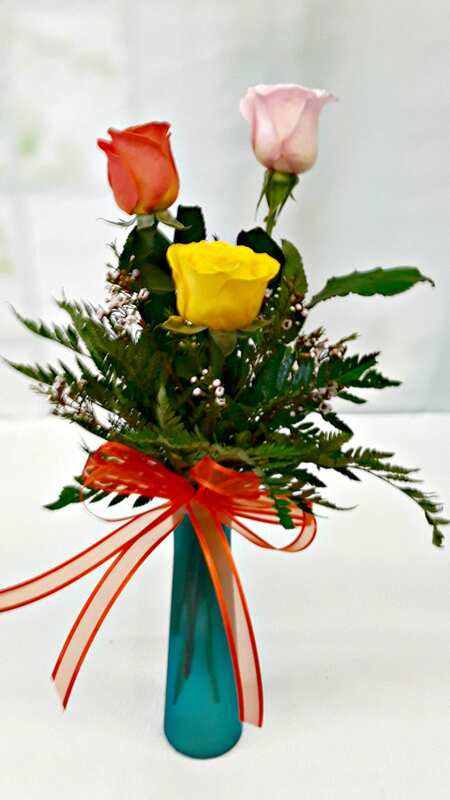 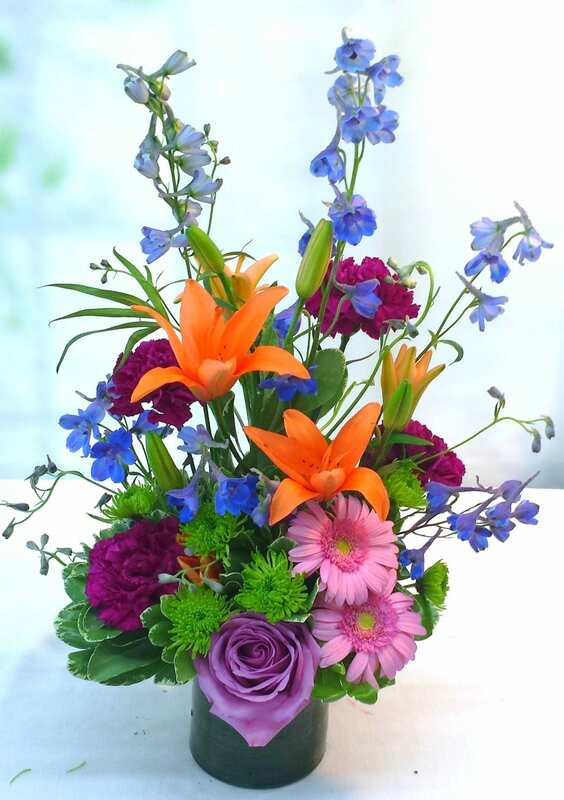 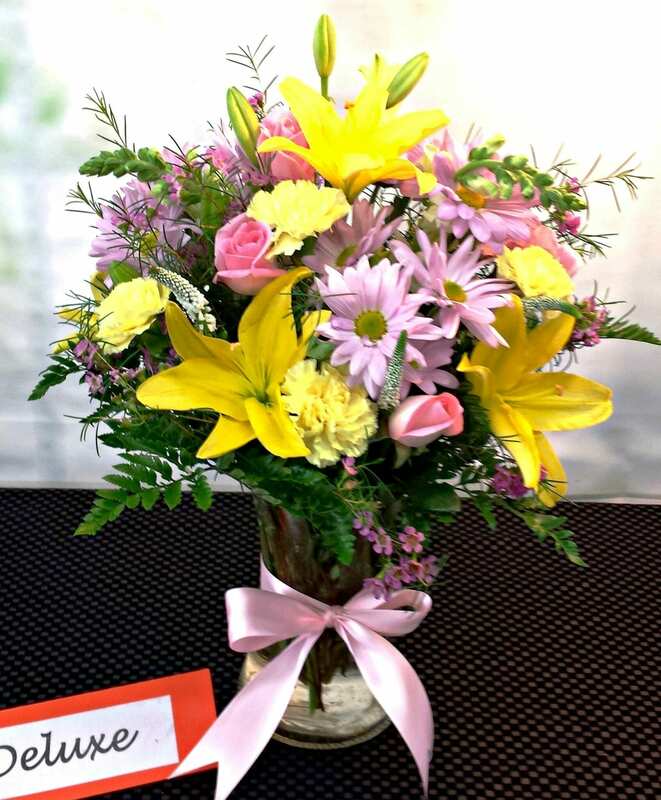 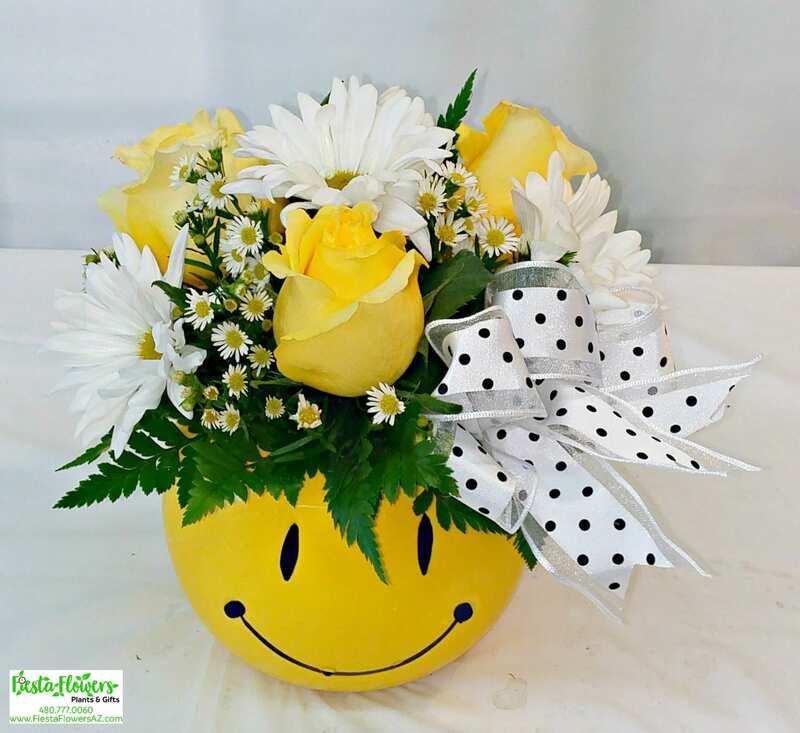 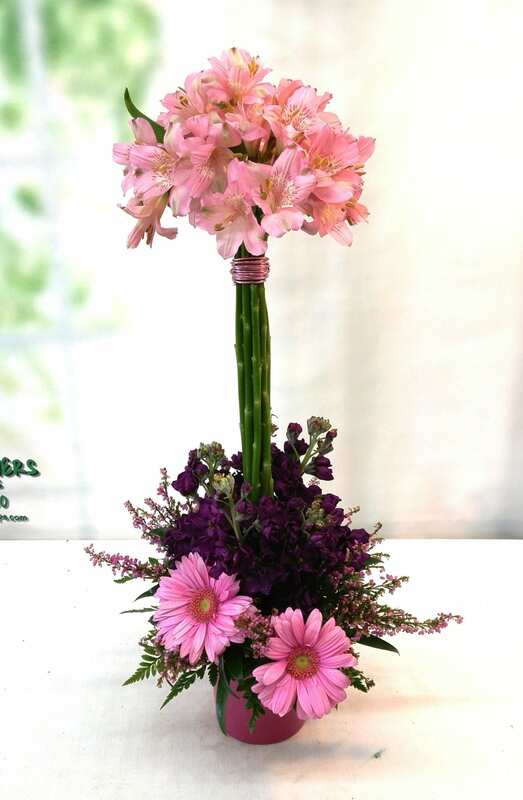 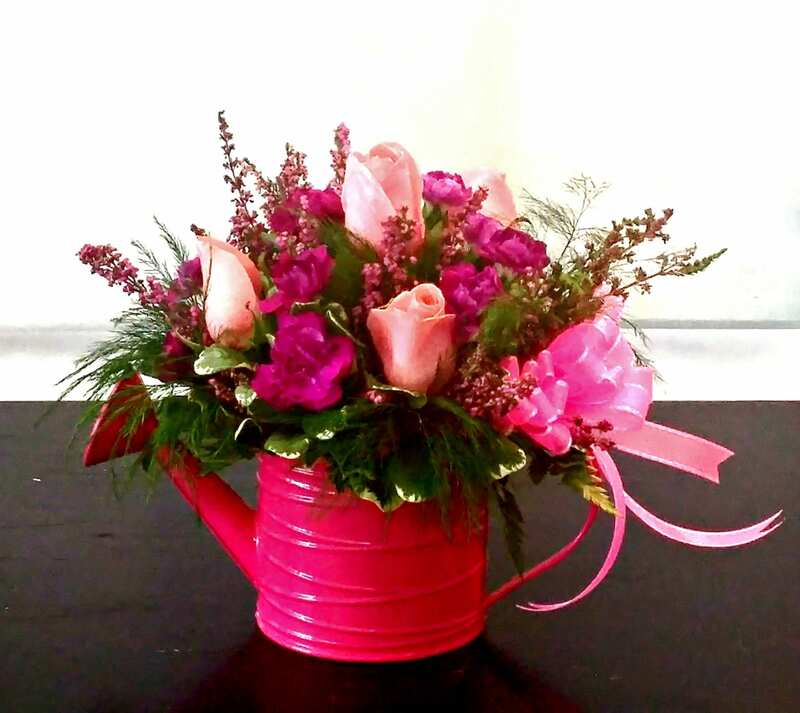 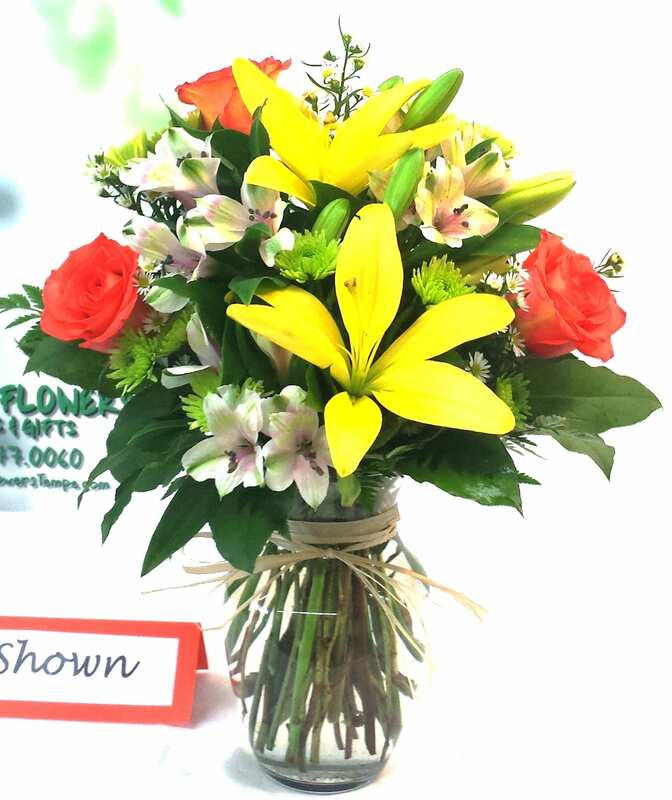 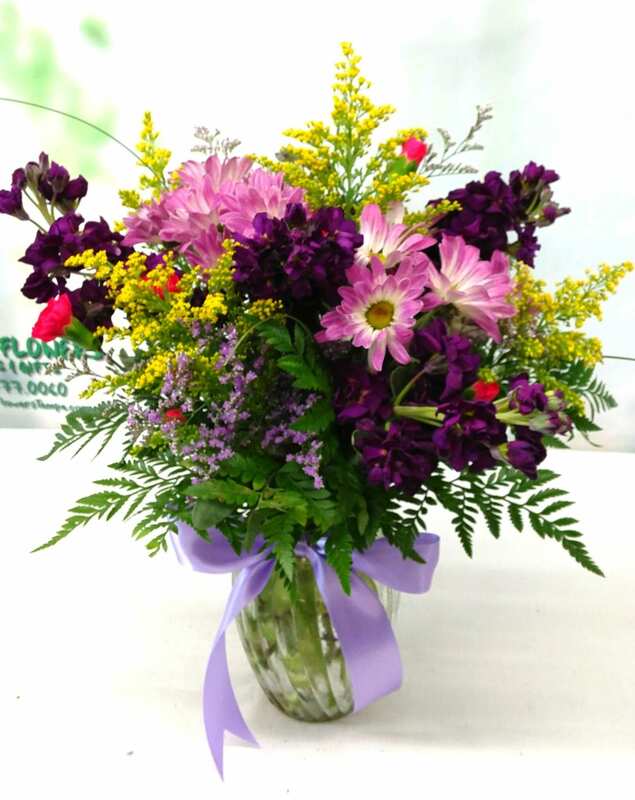 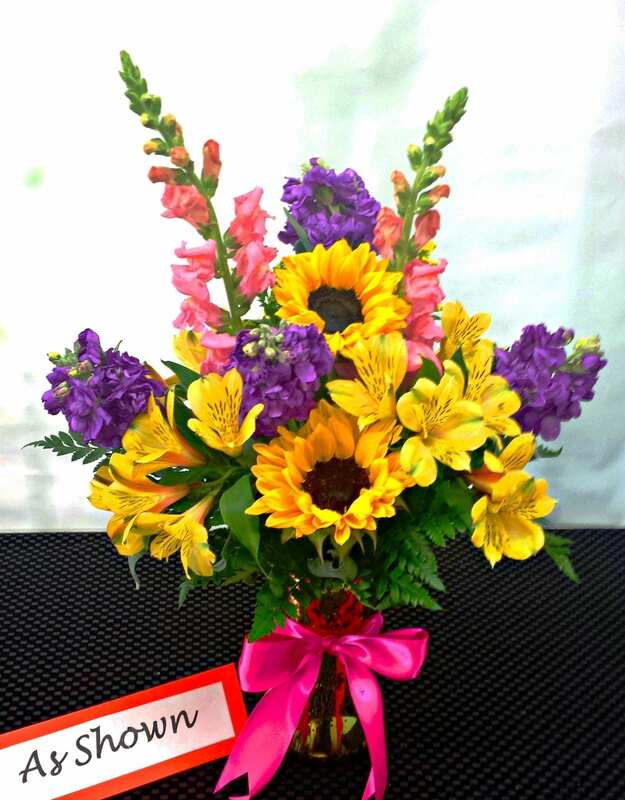 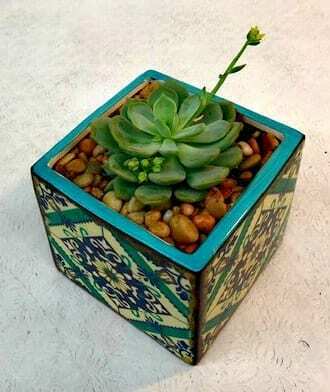 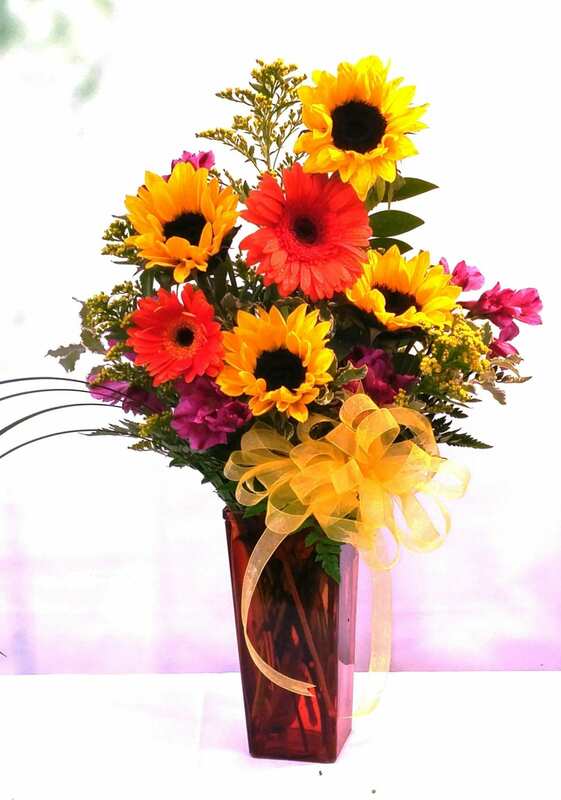 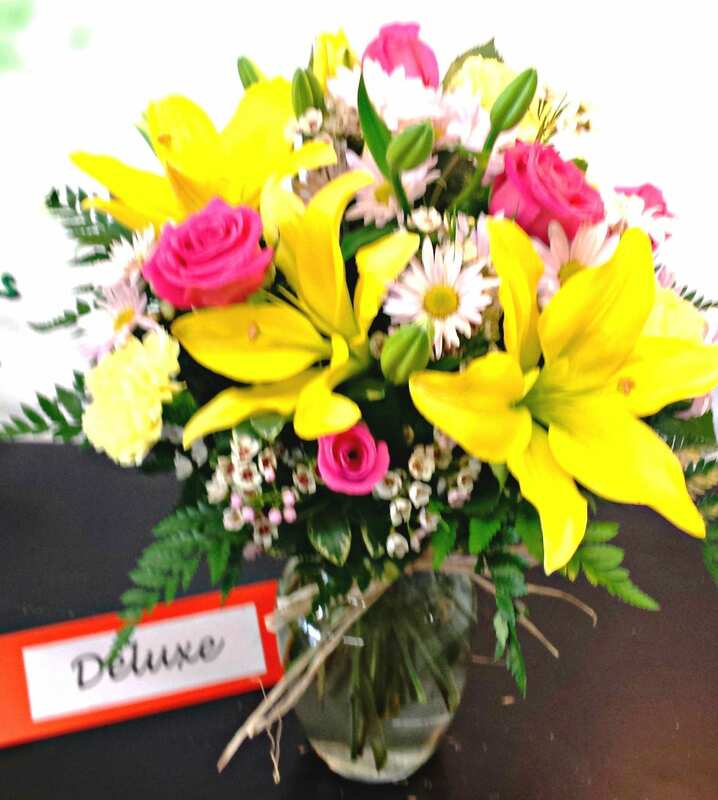 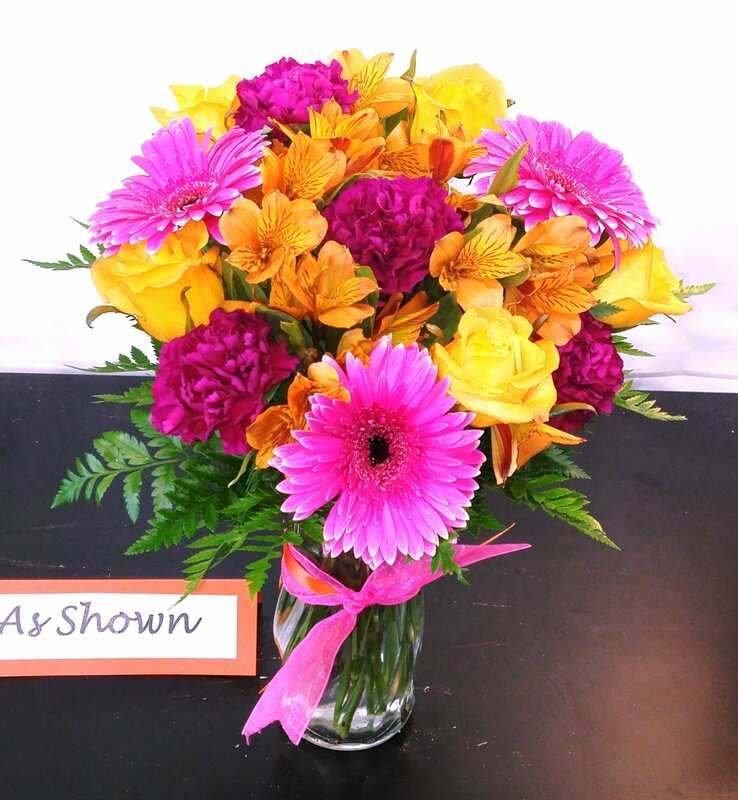 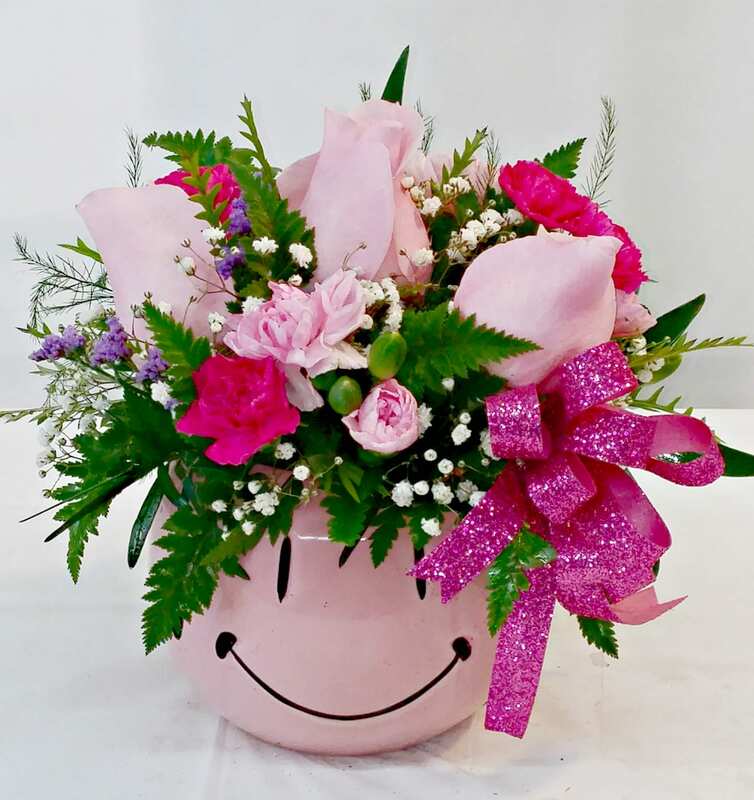 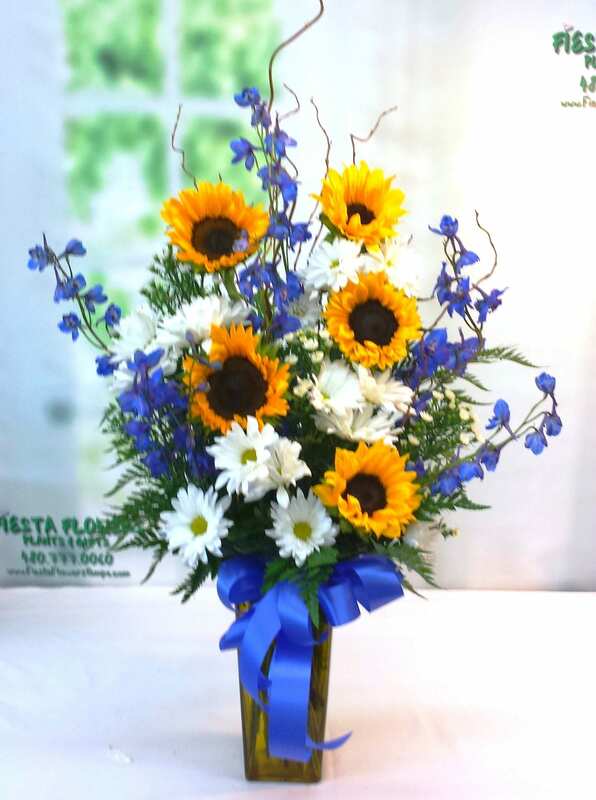 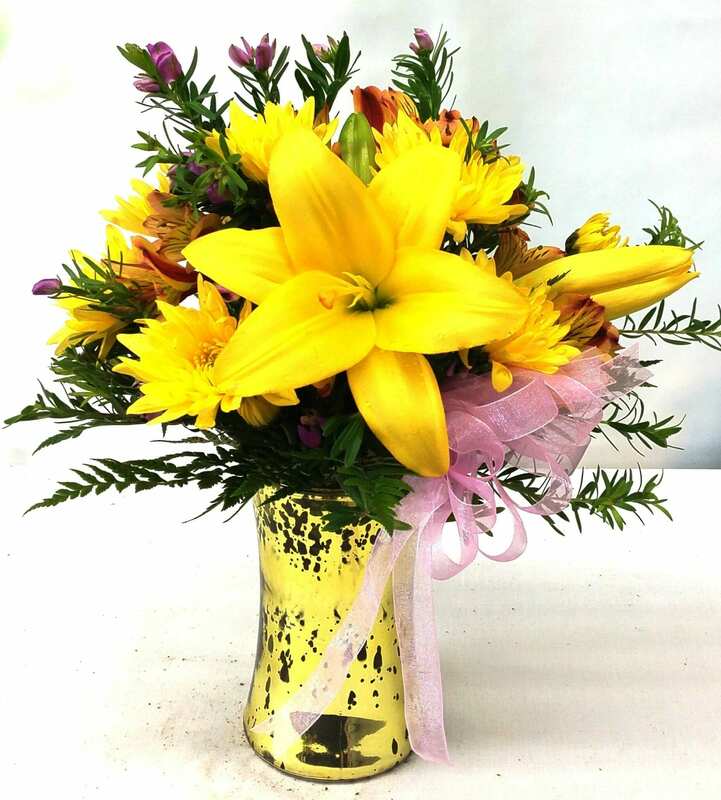 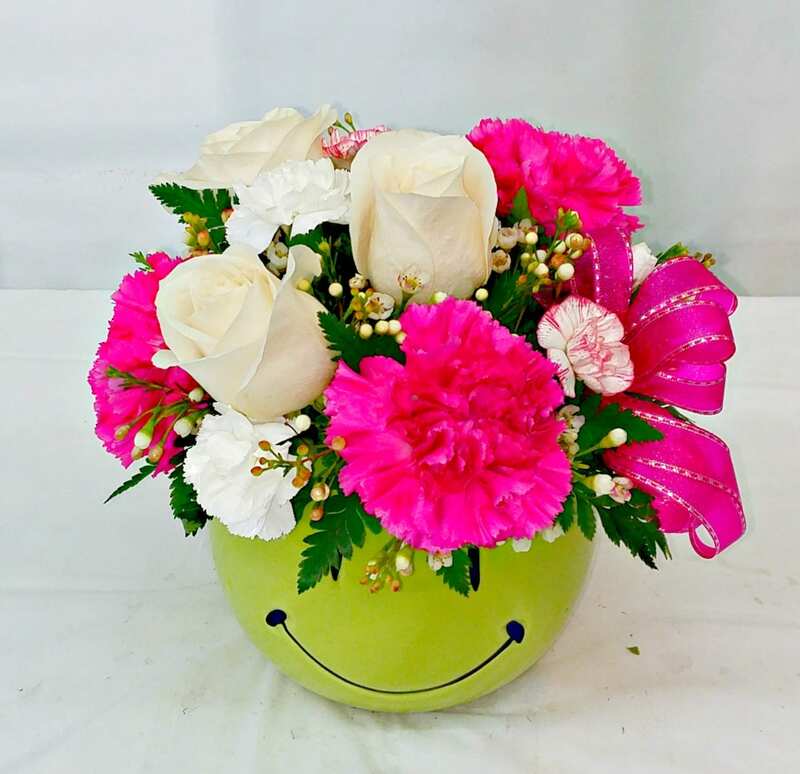 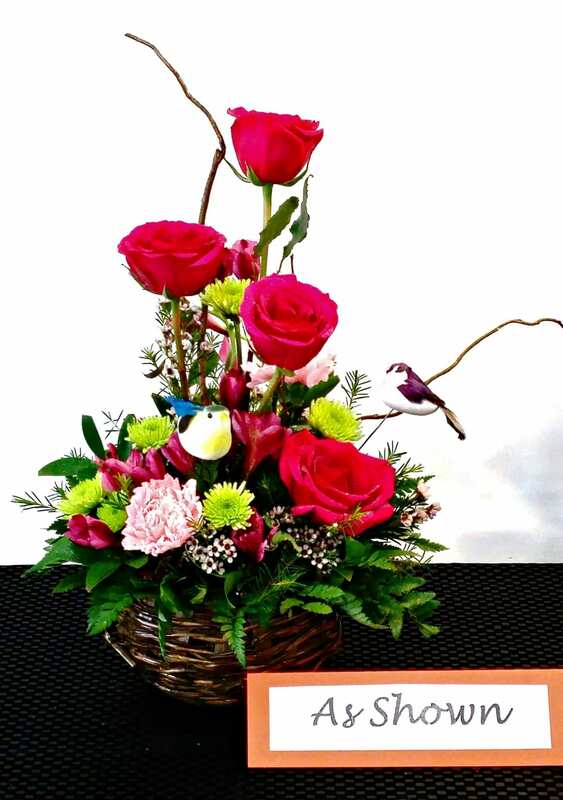 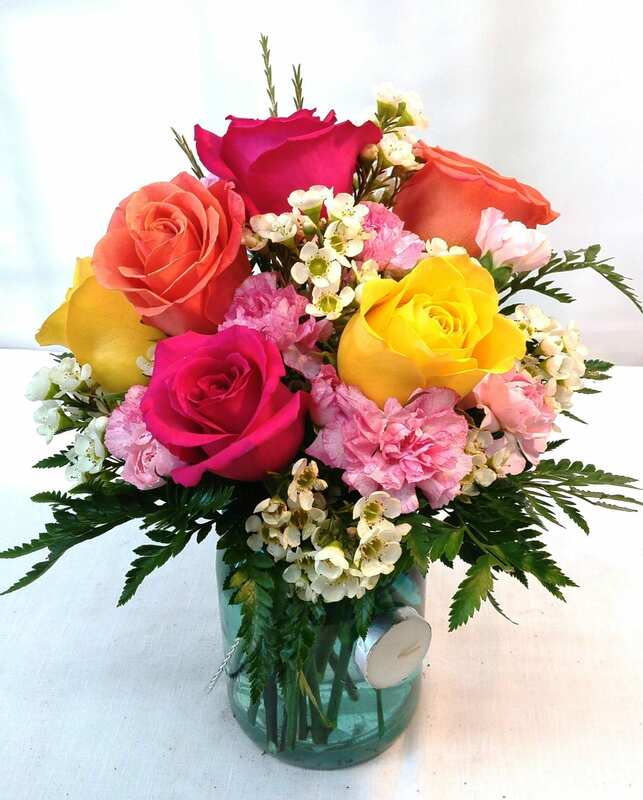 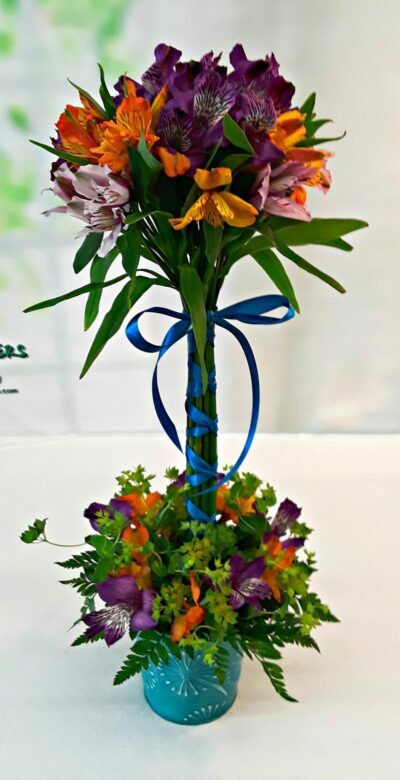 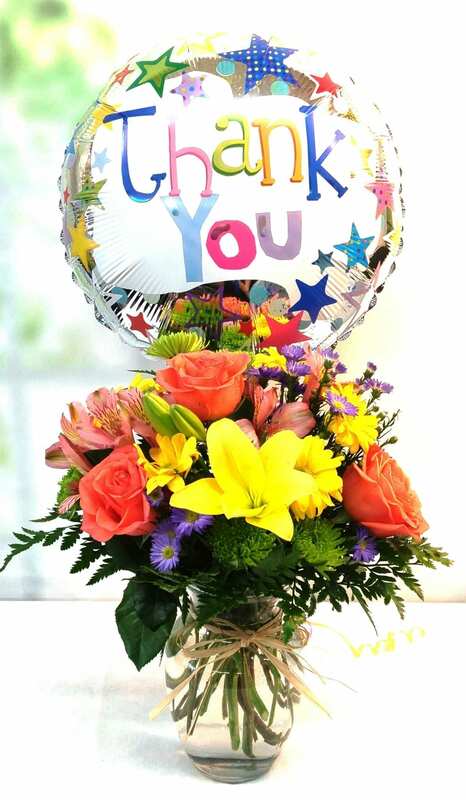 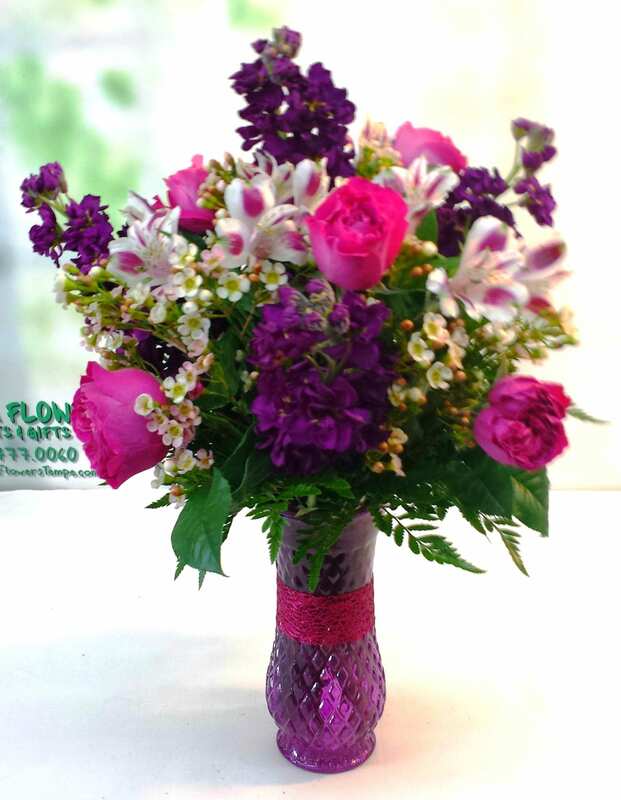 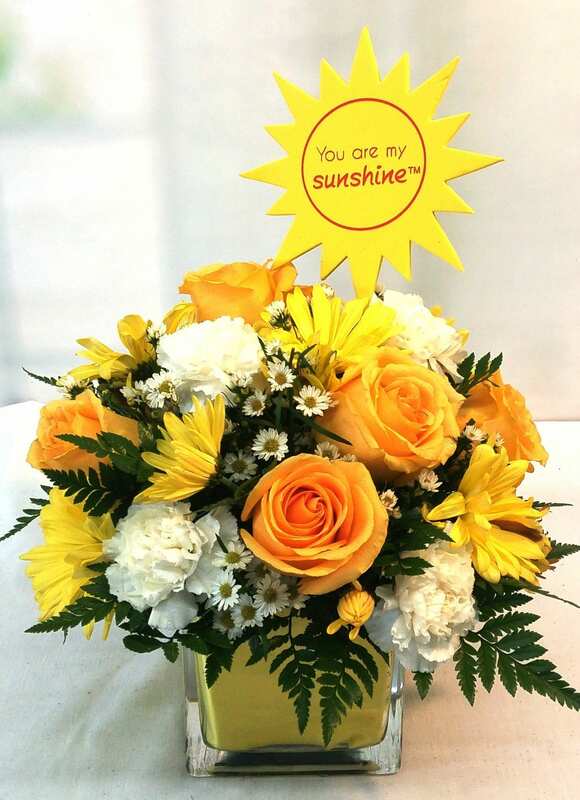 A flower arrangement from Fiesta Flowers, Plants & Gifts will brighten anyone’s day! 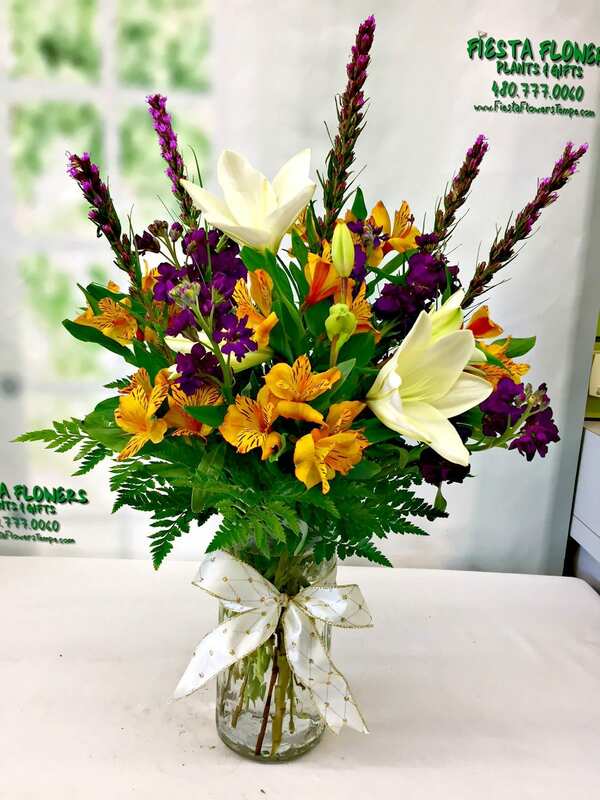 When choosing flowers from our professional floral staff, you can see the years of experience that go into every bouquet that we deliver. 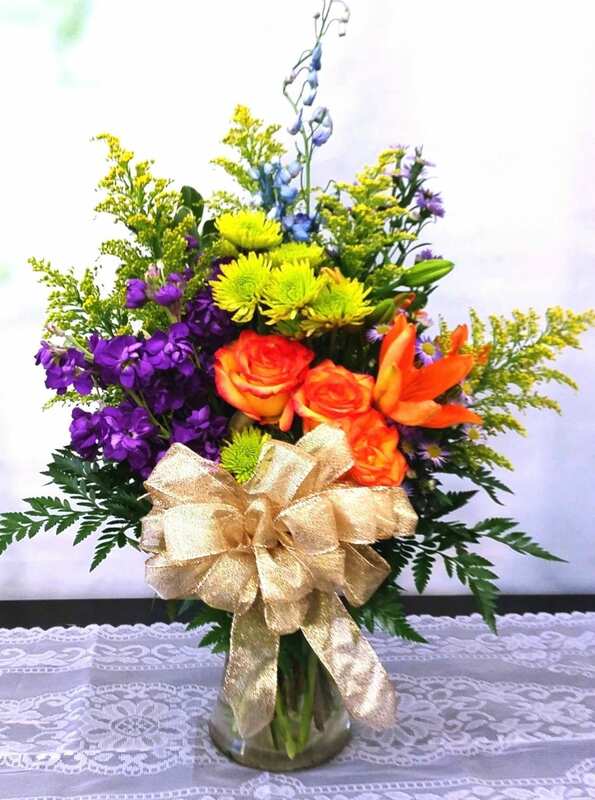 Place orders 24/7 on our online catalog in order to find just the right gift for that special occasion. 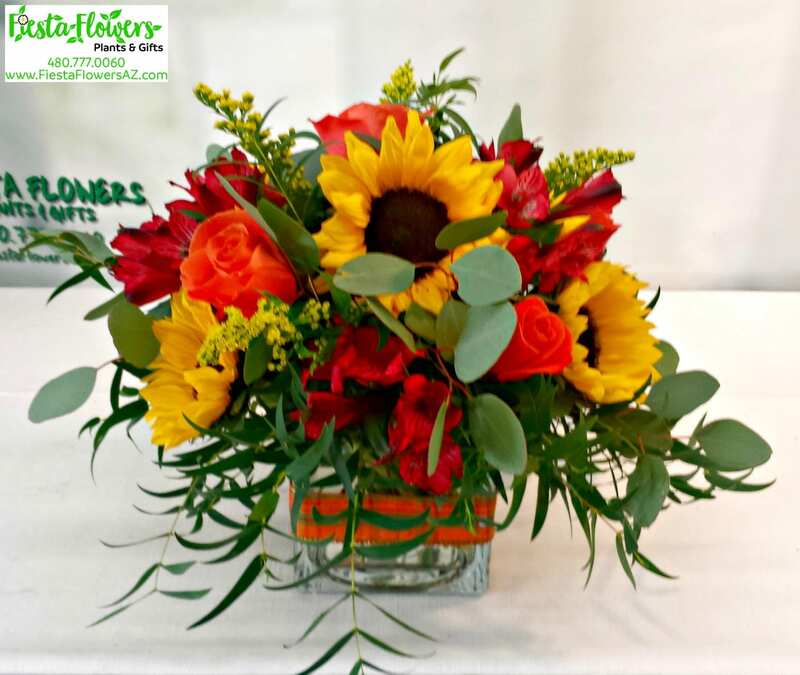 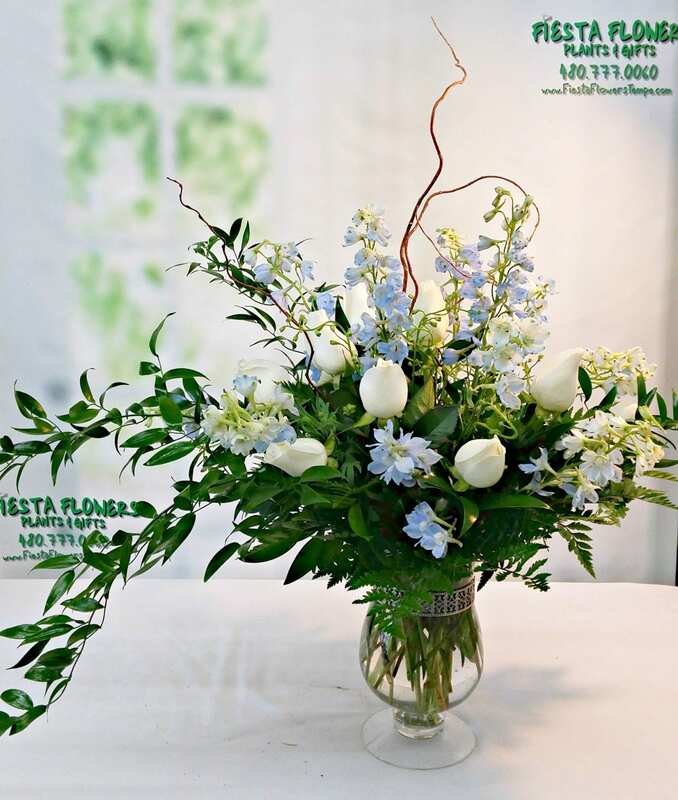 If you prefer, call Fiesta Flowers, Plants & Gifts at (480) 777-0060 and speak with one of our friendly floral professionals, and we can custom design an arrangement exclusively to fit your budget. 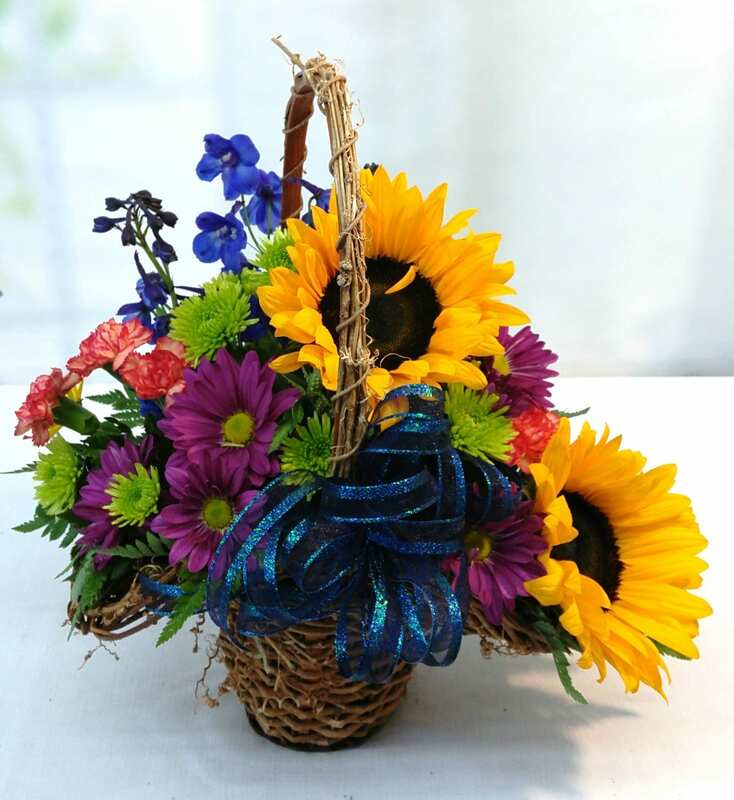 Occasionally, substitutions may be necessary to ensure your arrangement or specialty gift is delivered in a timely manner. 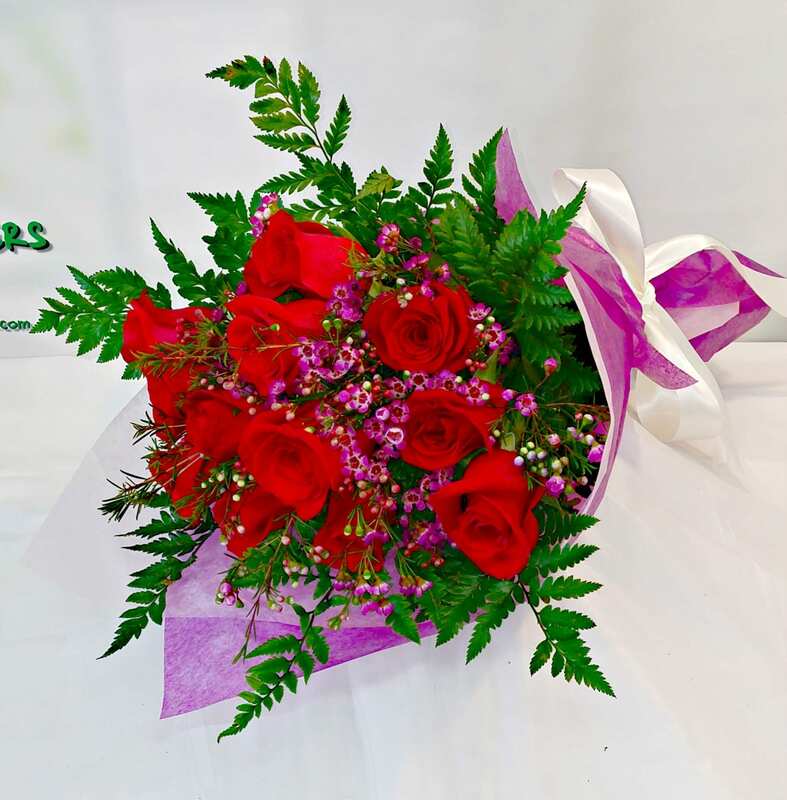 The utmost care and attention is given to your order to ensure that it is as similar as possible to the requested item. 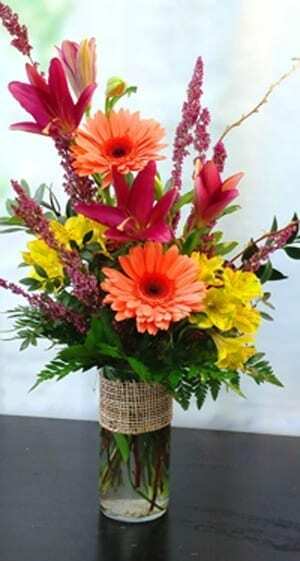 Substitutions of flowers or containers are sometimes necessary due to temporary, regional availability. 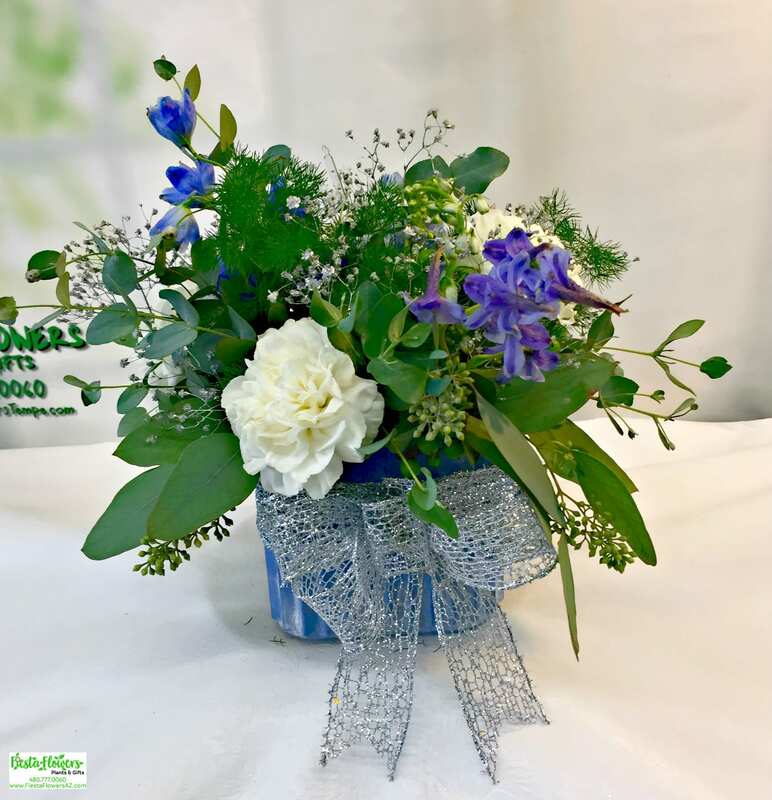 If this is the case with the gift you’ve selected, our experienced florists will ensure that the style, theme and color scheme of your arrangement is preserved and will only substitute items of equal or higher value. 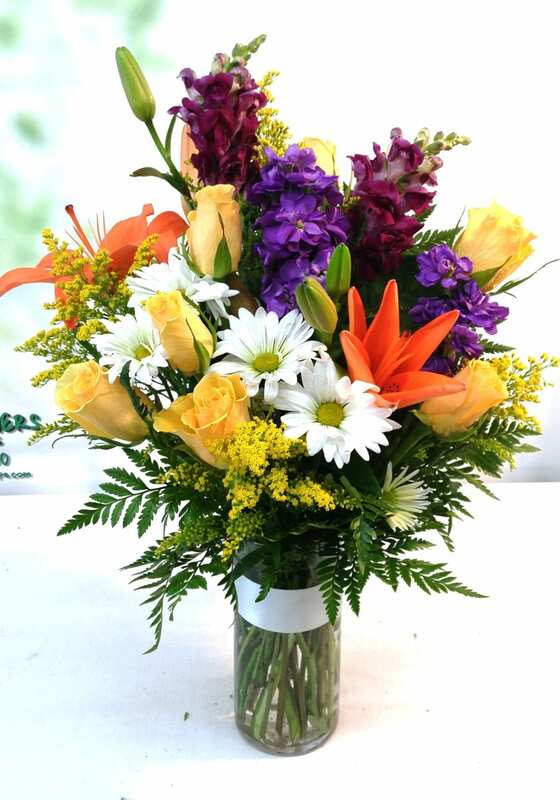 Same day fresh flower delivery service in Tempe, AZ and surrounding areas. 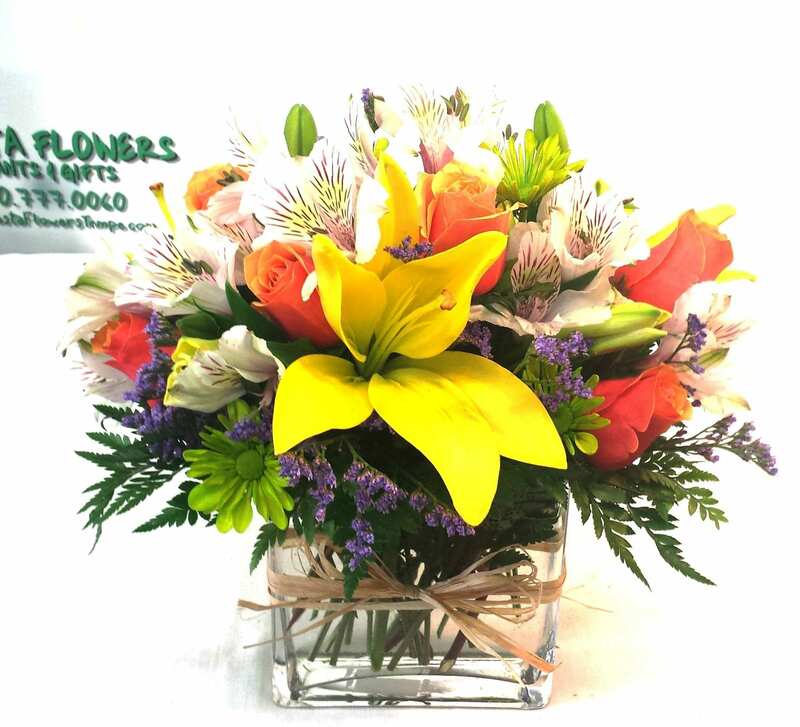 Delivery to Business addresses guaranteed by 5pm. 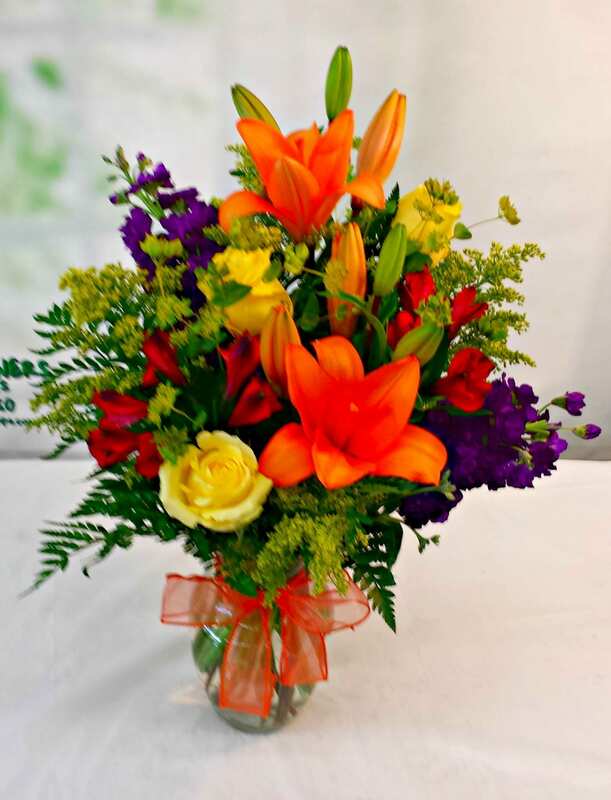 Delivery to Residential addresses guaranteed by 7pm. 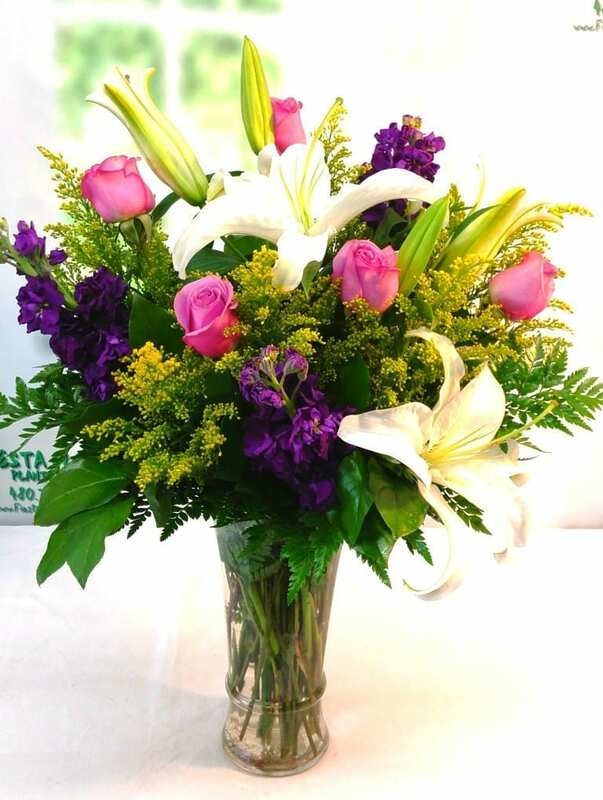 In addition to local flower delivery in Tempe, AZ, Fiesta Flowers Plants & Gifts provides flower delivery services to the following nearby communities: Gilbert, Mesa, Central Phoenix, Chandler, Ahwatukee, South Phoenix, South Scottsdale, and Sun Lakes. 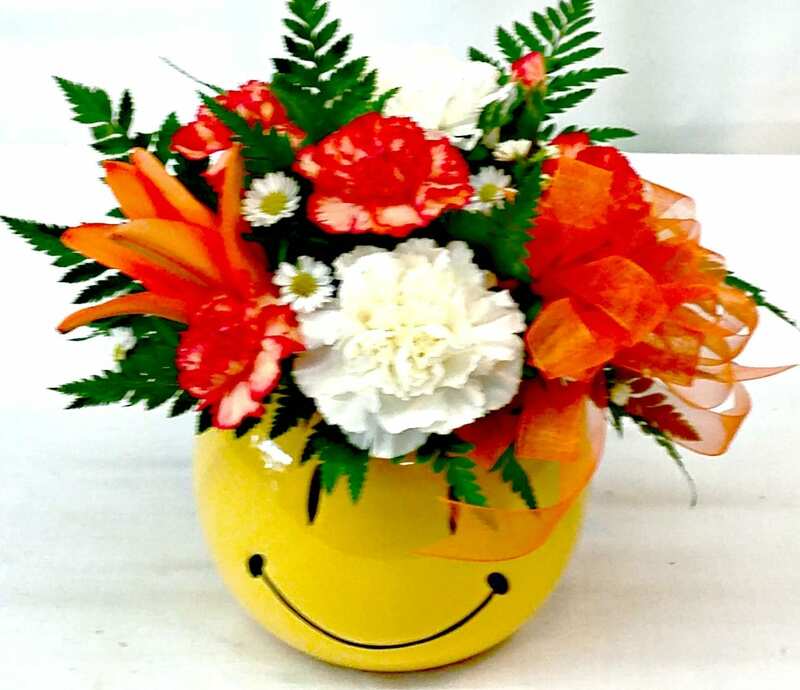 Sign up to receive a $5 Off Coupon Code today as well as future email exclusive offers and promotions. 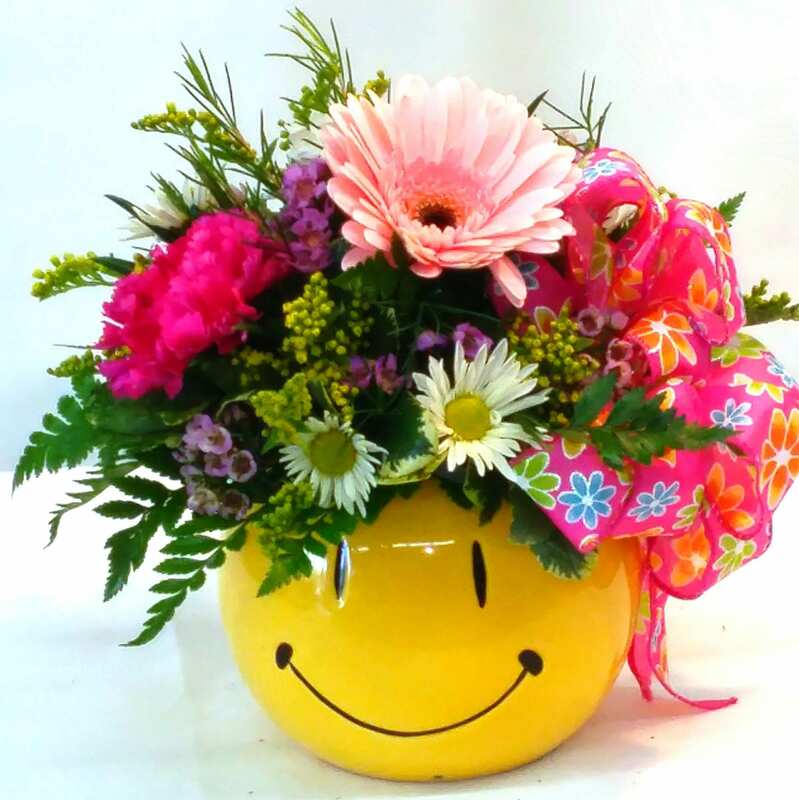 You have successfully subscribed ~ check your email for your $5 off!